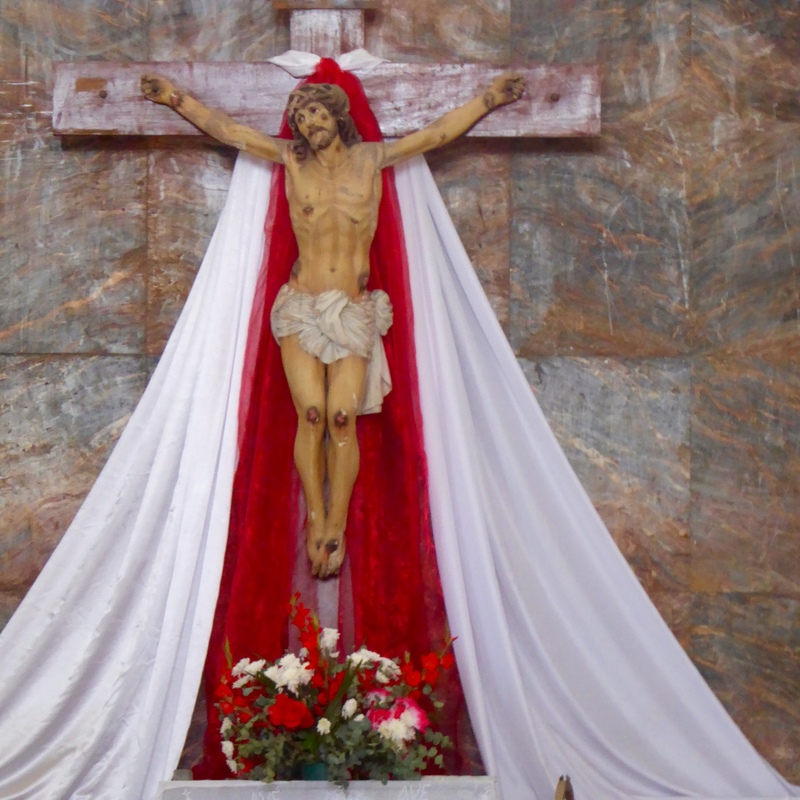 Good Friday is the day Jesus was crucified. Christians all over the world remember this day. 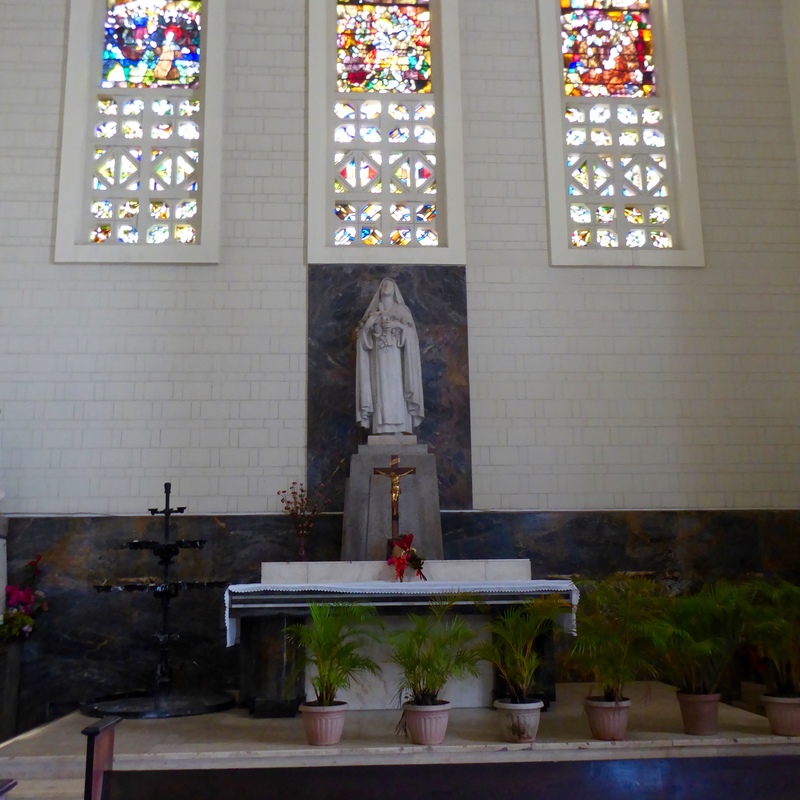 This photo was taken in the main cathedral in Maputo, Mozambique in southern Africa. I, Zeb the Duck, was there for this photo July, 2016. 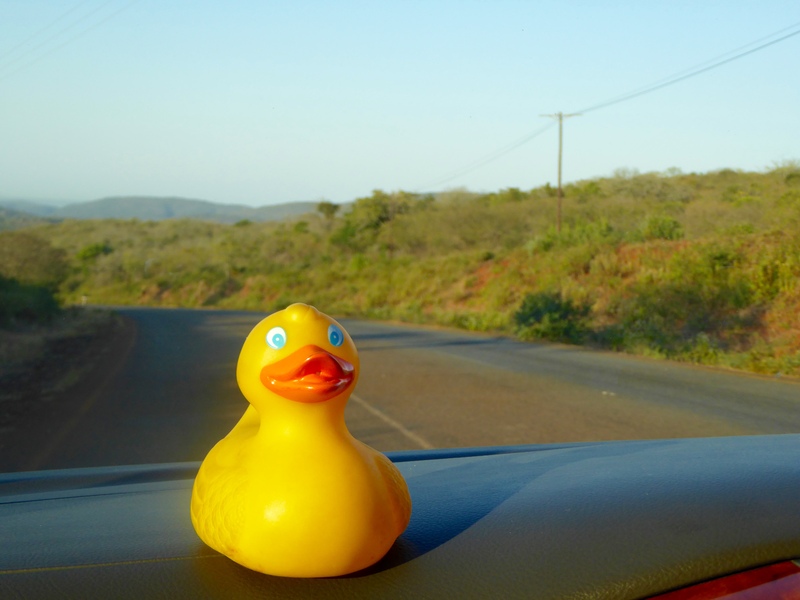 I, Zeb the Duck, really loved my summer in Southern Africa. I wanted to show you some of my favorite memories, but there were so many. 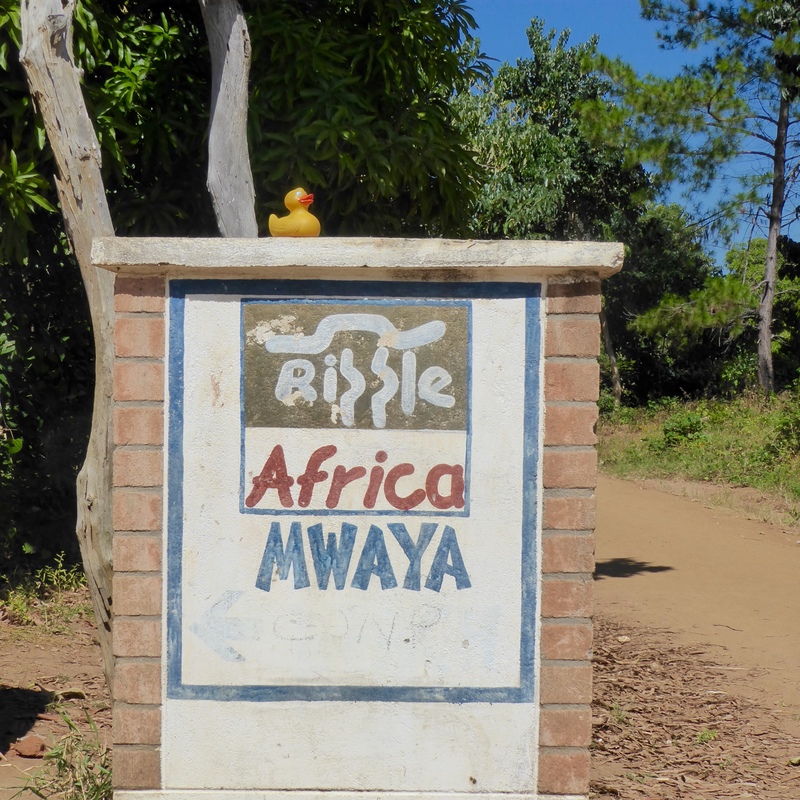 Remember this trip started with us volunteering for a couple weeks with Ripple Africa in Malawi. 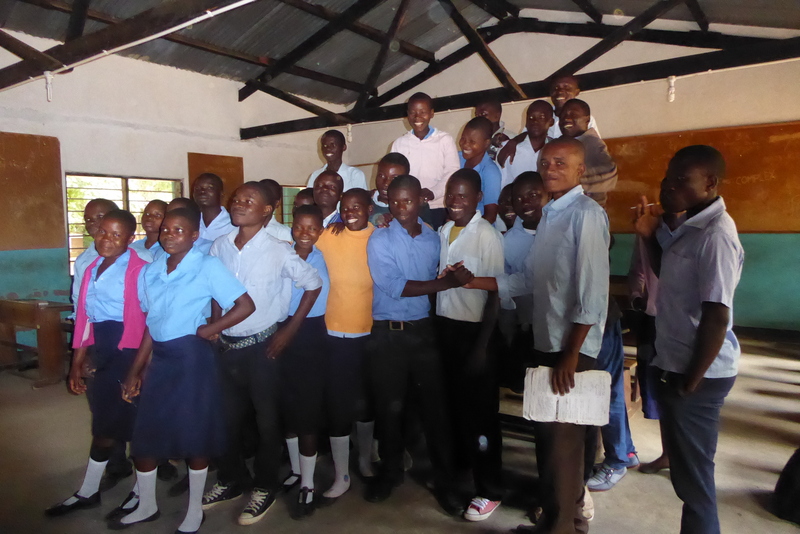 The students were so friendly and eager to learn. 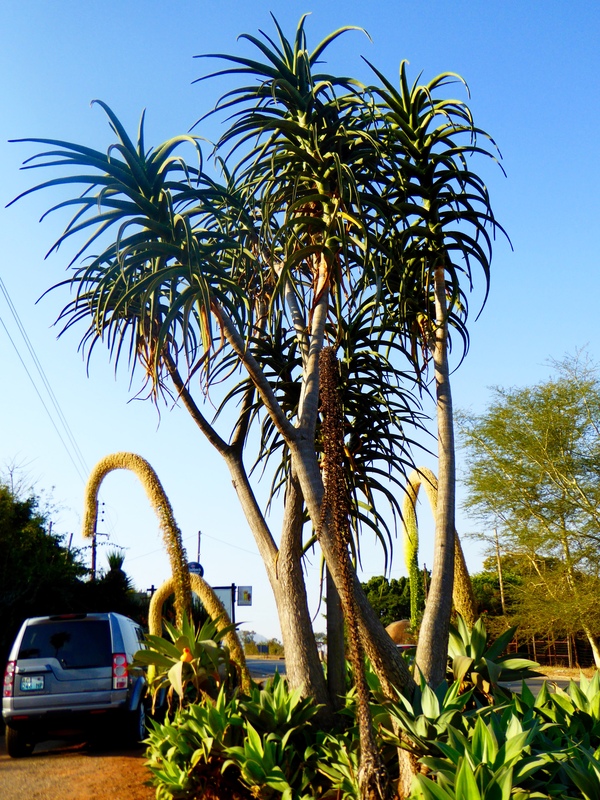 We saw this all over Southern Africa. 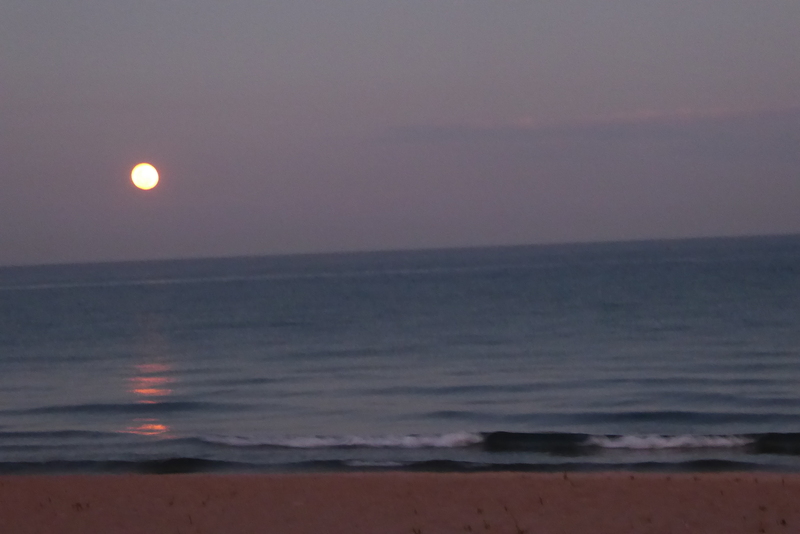 Living on the shore of Lake Malawi, we appreciated the sunny days and the evenings watching the moon rise over the lake. We saw people everywhere carrying items on their heads. The humans walk so gracefully and have beautiful posture. 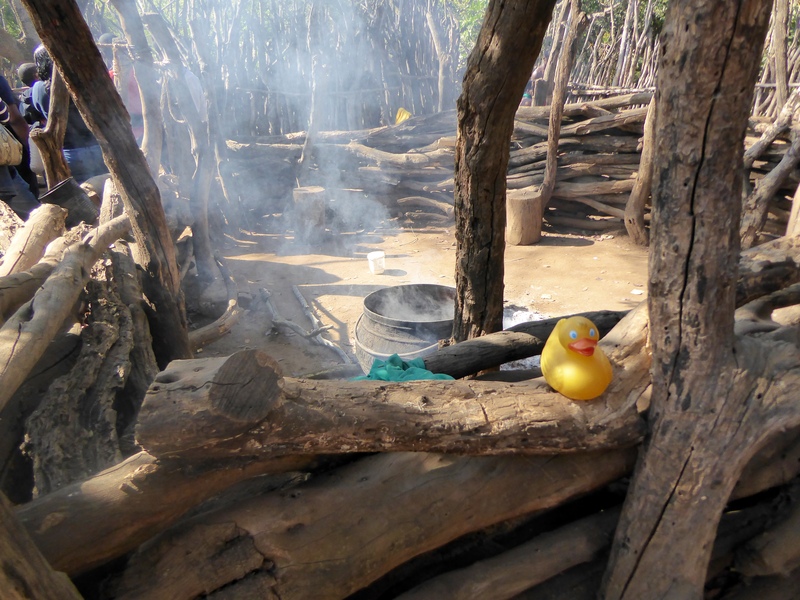 These changu changu moto stoves save so much wood and requires so much less work to use. They are a huge improvement over the traditional three stone stove. 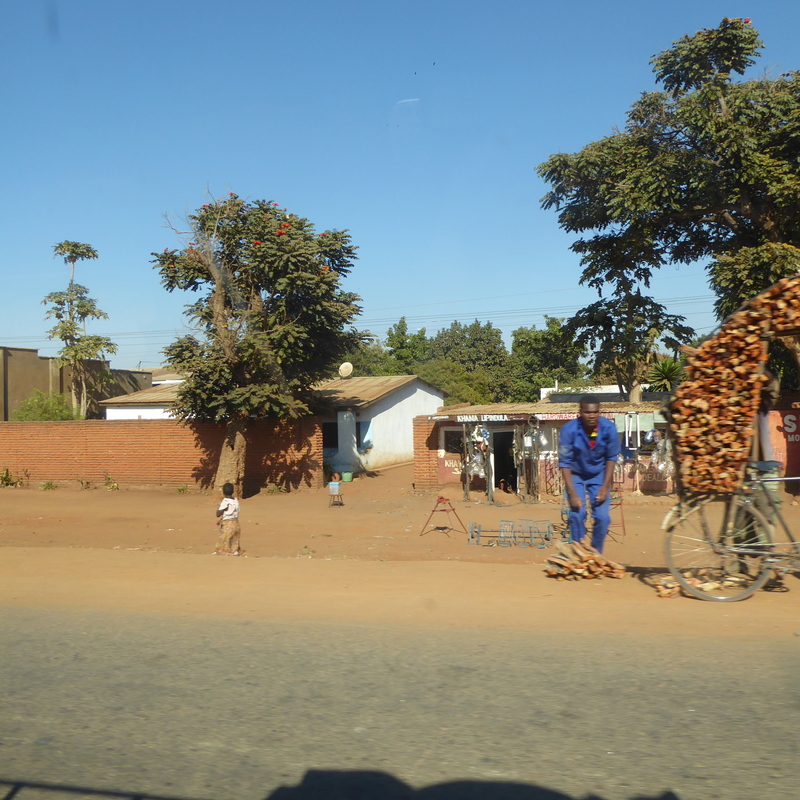 Men stack wood on frames on their bicycles. Seeing them ride with all the wood was fascinating. We smiled at this sign, but it was true. The monkeys will pick up most items and the items may be gone forever. 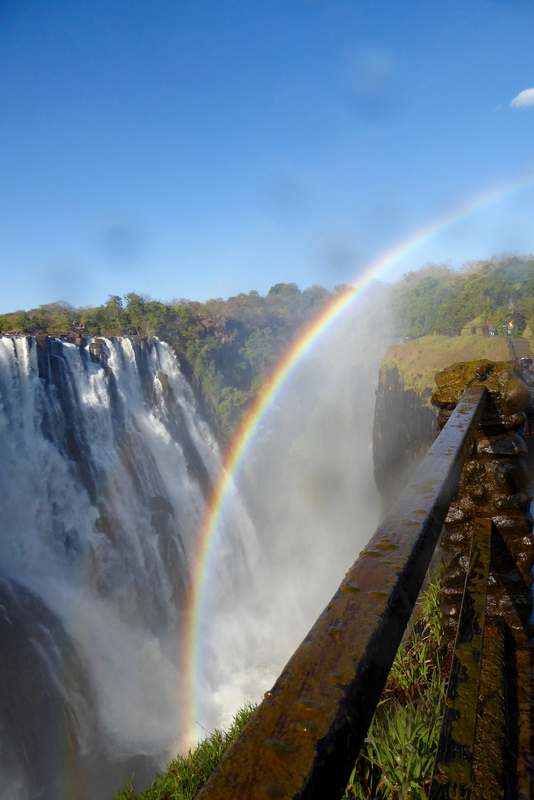 Victoria Falls is so big and so powerful. It really is a sight for all to see. 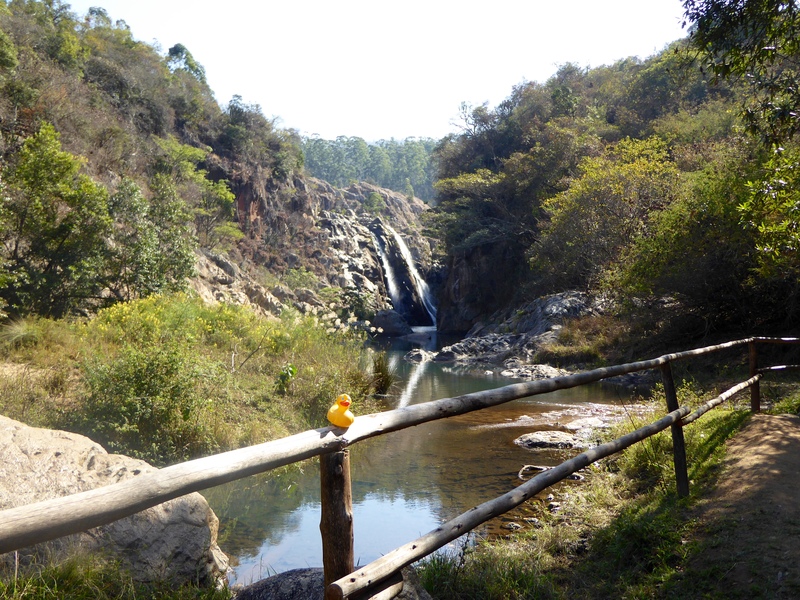 This is Rainbow Falls on the Zambian side. The rainbow seems to be there almost all the time. 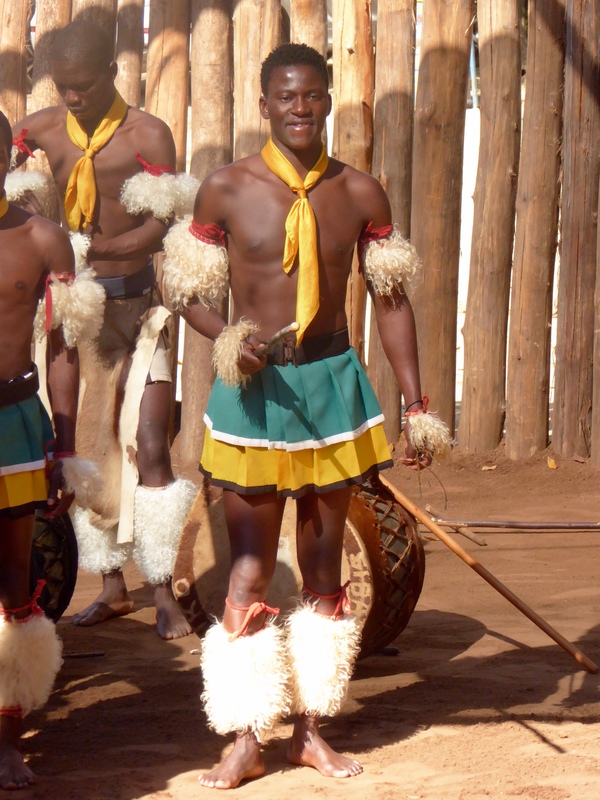 Male dancers and singers in the Kingdom of Swaziland entertained us. 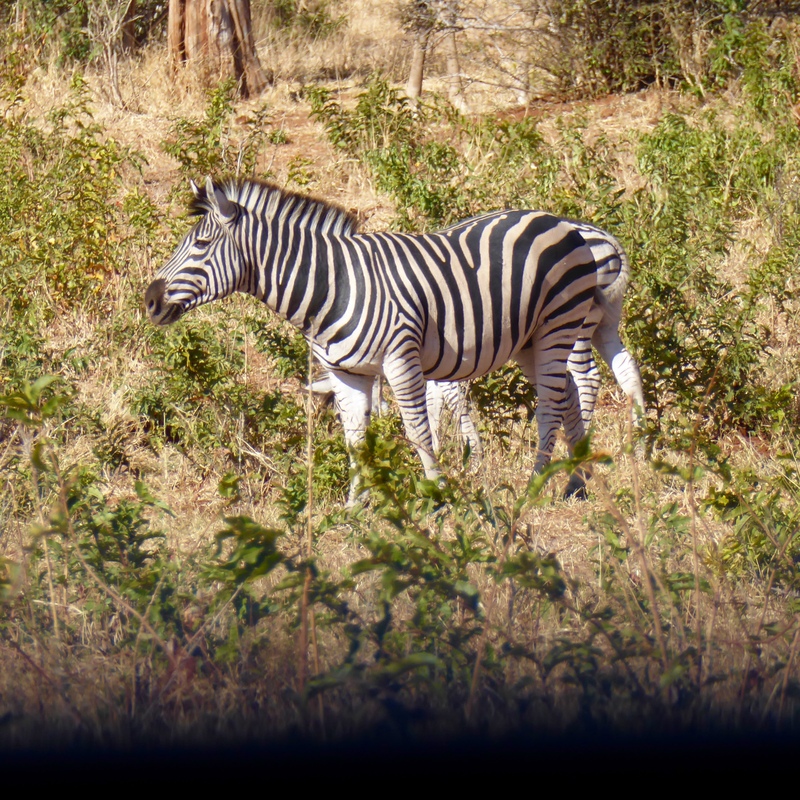 Many humans think of large animals and safaris whenever Africa is mentioned. 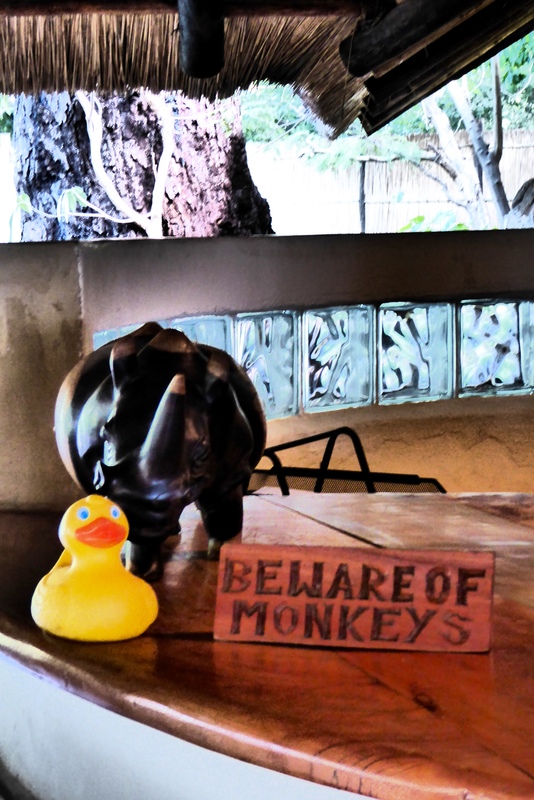 We loved our safaris and the animals are so majestic, and in many cases, they were playful and entertaining. 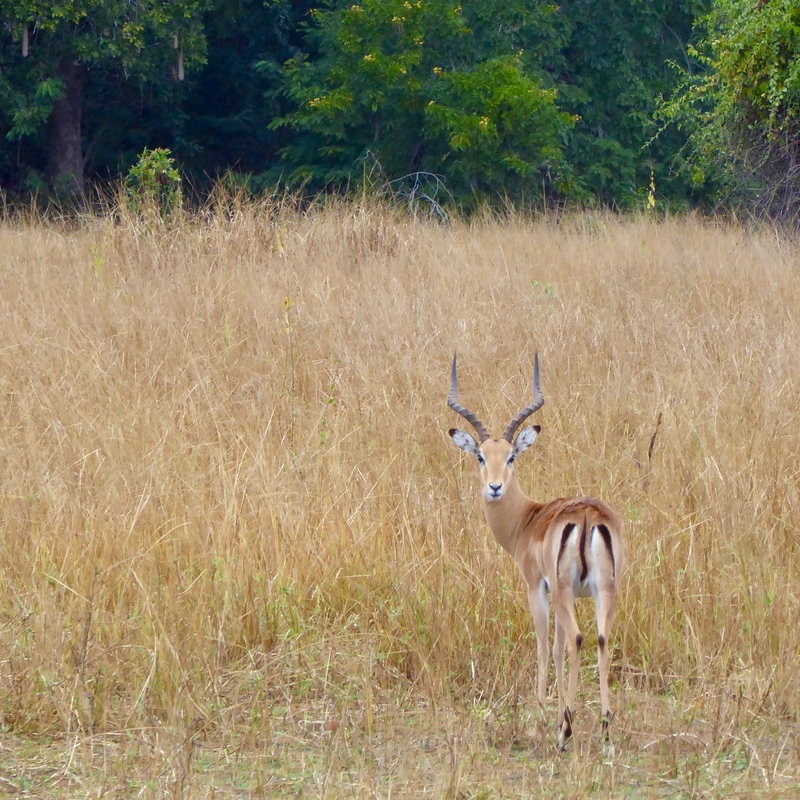 Impalas are so plentiful and also so delicate and graceful. We never tired of seeing them. We love the zebras. The stripes are so exotic to me. 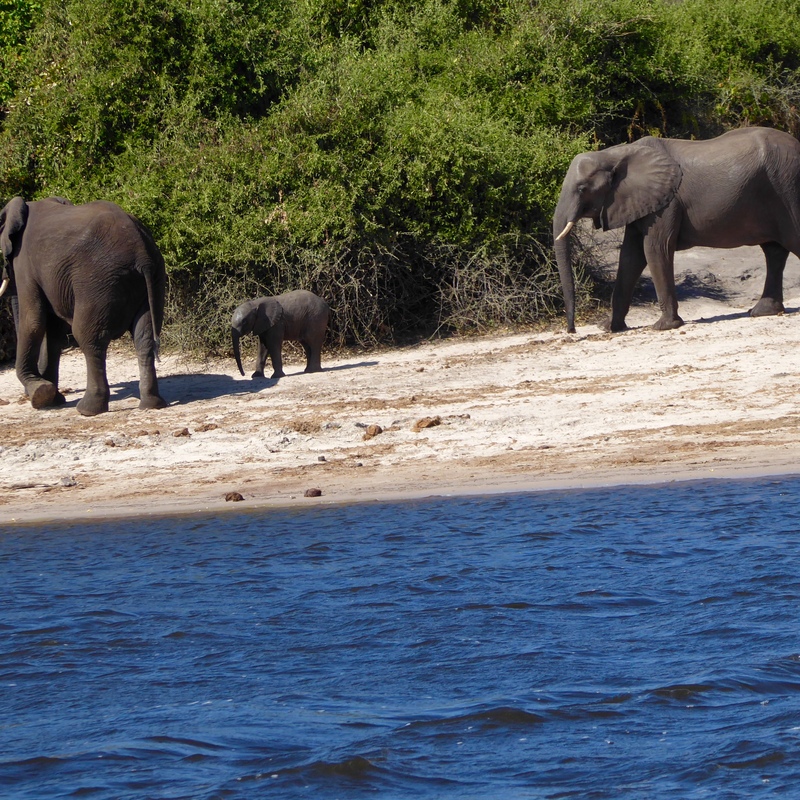 And the massive elephants, especially in groups always take your breath. And there is nothing like a baby elephant to soften your heart. 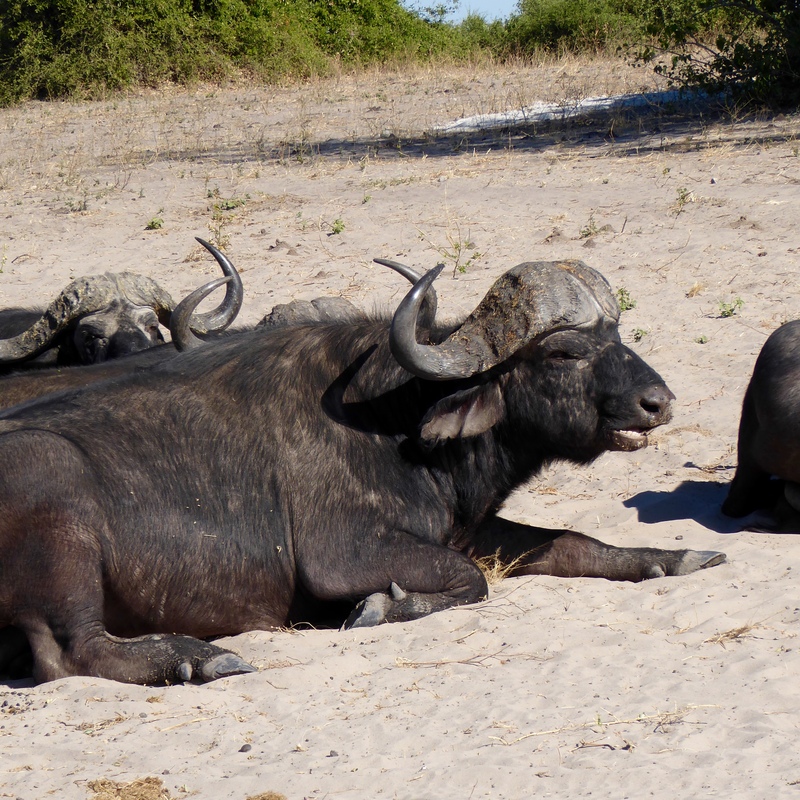 Cape Buffalo always make us smile. 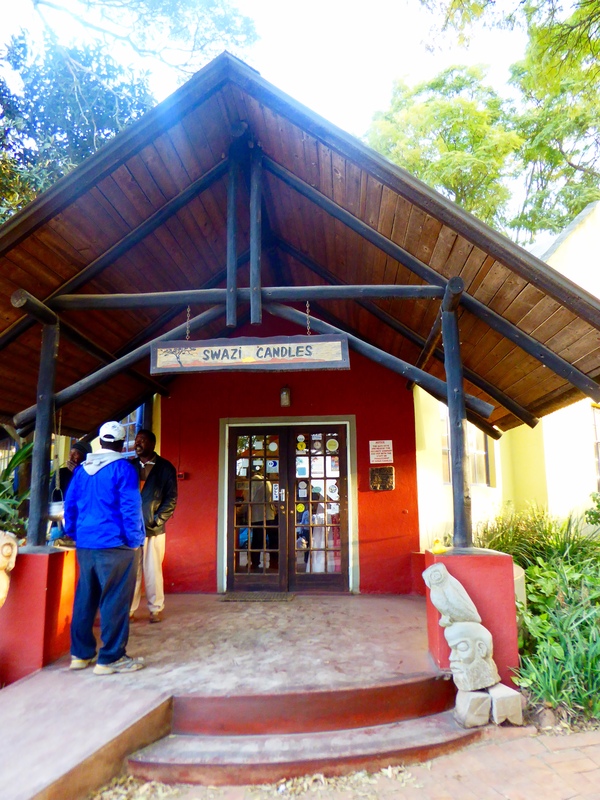 The Swazi candles were some of our favorite souvenirs. Packing them was a challenge! 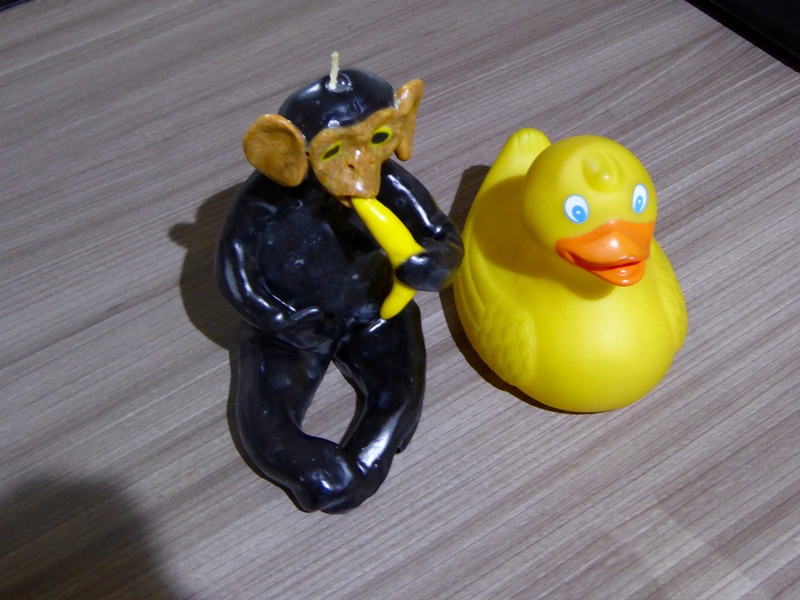 This monkey candle is bigger than I am. I loved seeing the Indian Ocean from Bonnie, our horse. 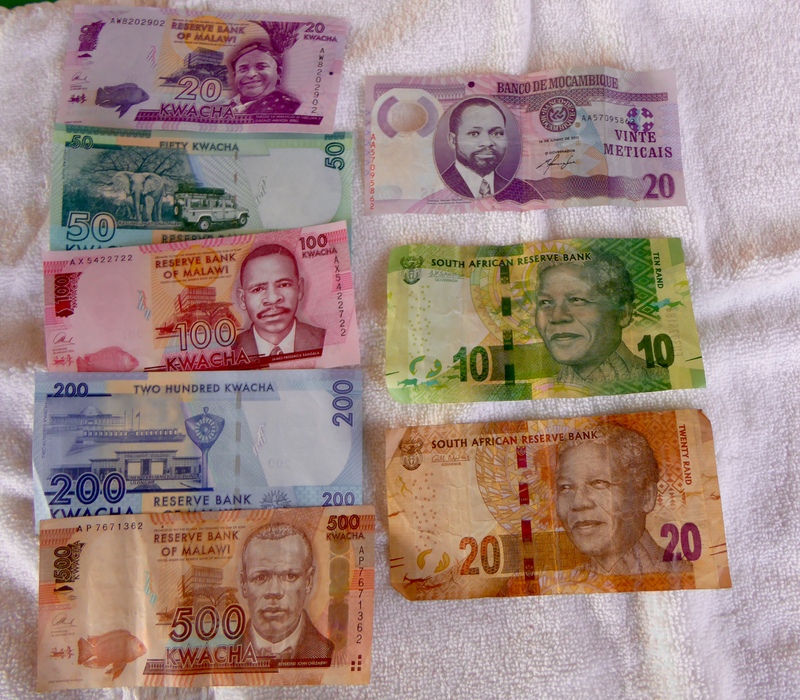 The money in Africa was very colorful. We like each denomination a different color. Makes things easier for humans. Each country used a different currency, but US dollars were accepted most places. Money from Malawi, Mozambique, and South Africa. Zimbabwe did not print their own paper money. The official currency of Zimbabwe is the US Dollar. We did bring a little local currency home, but most of the left over money is donated at airports to help the local people. If everybody gives a little, that equals a lot of money and a lot of local help. We did purchase many Visas, each time we entered a country, and flights between countries in Southern Africa were expensive and not always convenient. But the experience was unforgettable. The people–so friendly and helpful. The land and animals are beautiful. We were able to visit Malawi, Zimbabwe, Zambia, Botswana, Kingdom of Swaziland, South Africa and Mozambique. We hope you visit these countries soon. You will never forget the experience. 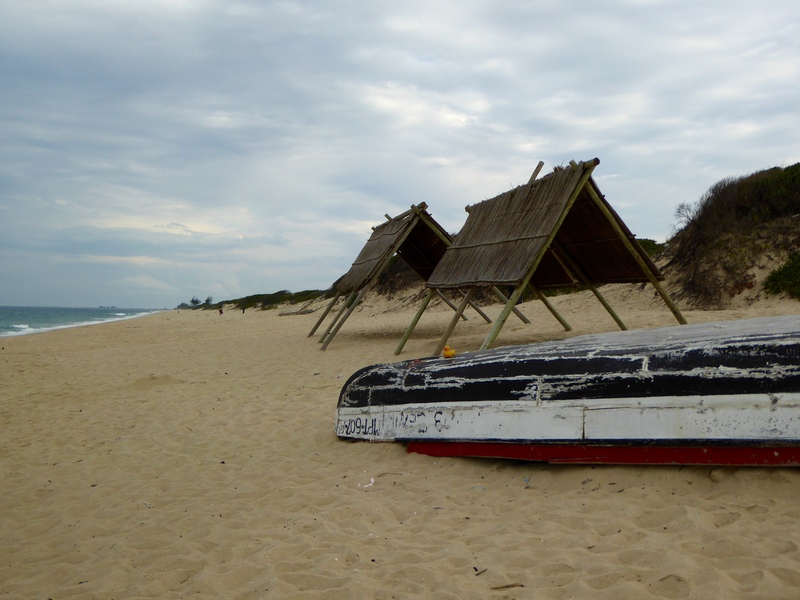 Today is our last full day in Mozambique and we are going to an island. 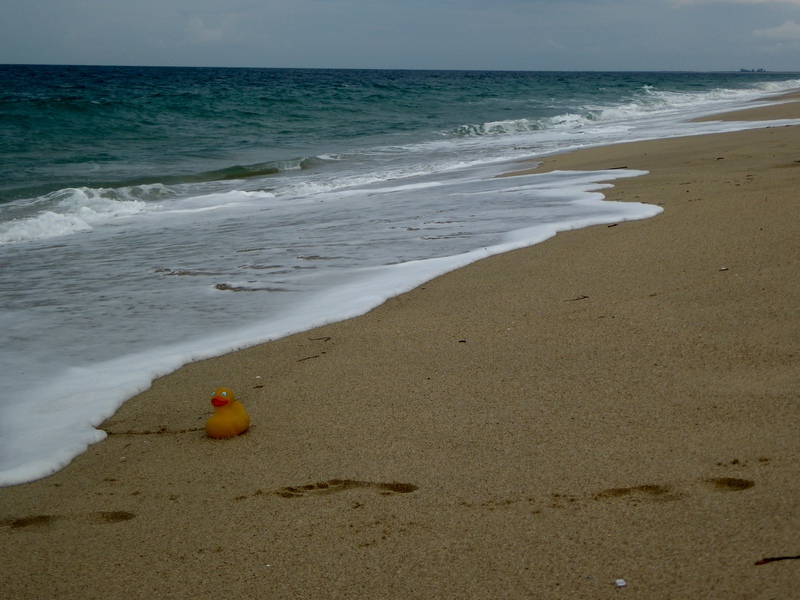 I, Zeb the Duck, love water, so I really love islands. 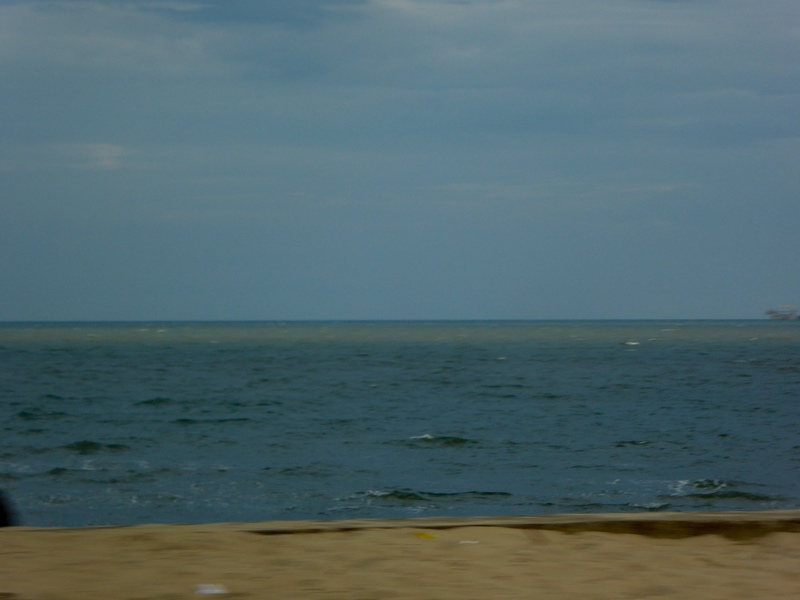 Alfonso picks us up at our hotel and we start driving, passing along the coast of Maputo Bay. 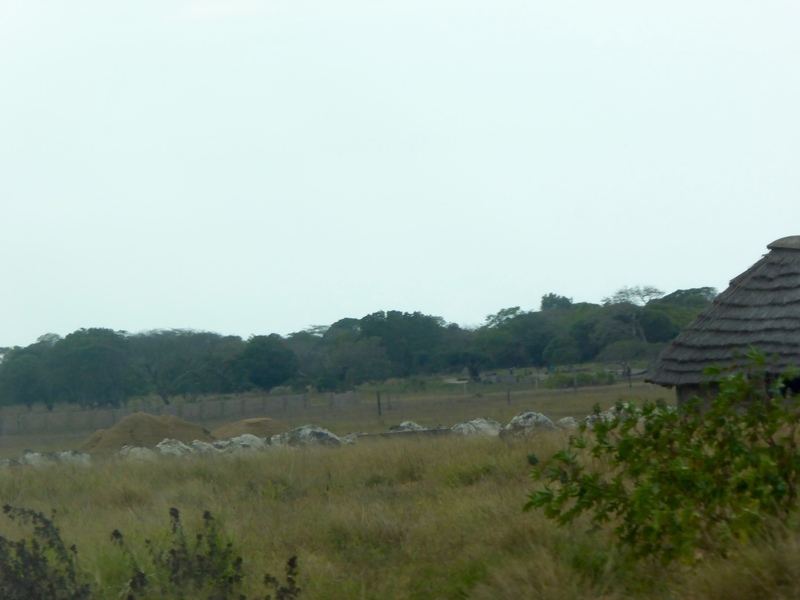 Leaving the city, we turn from the coastline, and continue driving in rural Mozambique. After 40 minutes of driving, we encounter the town of Marracuene, walk 10 minutes to the Nikomati River. 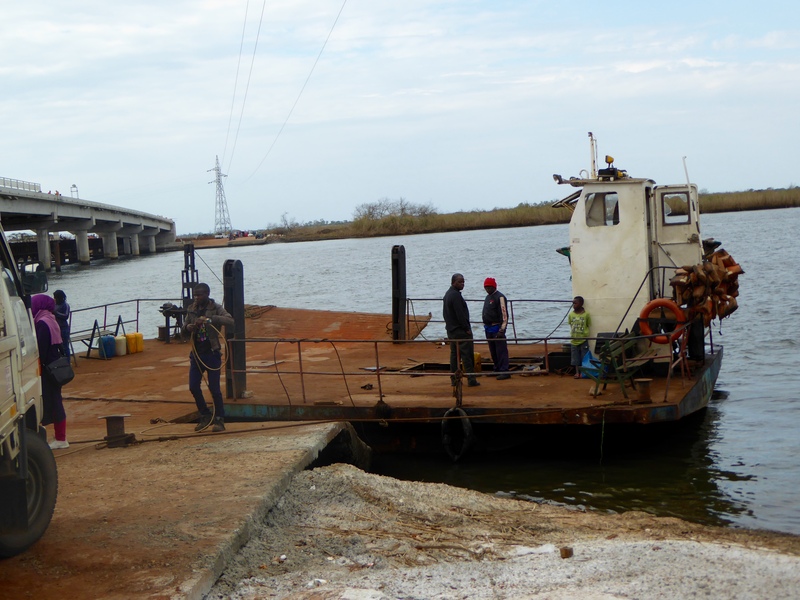 We wait to get on the small Nikomati River Ferry. Our ferry takes six cars and many people. 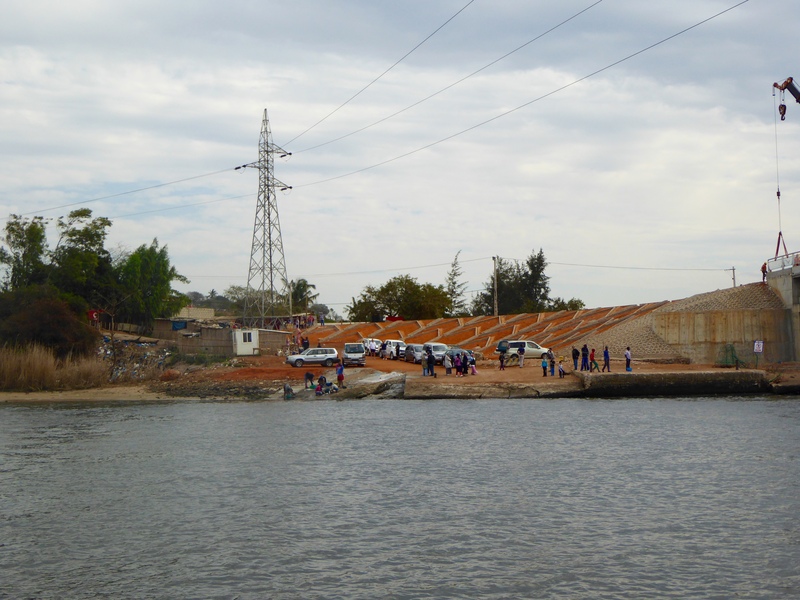 The bridge you see on the left is not completed, so driving is not an option to cross the river. 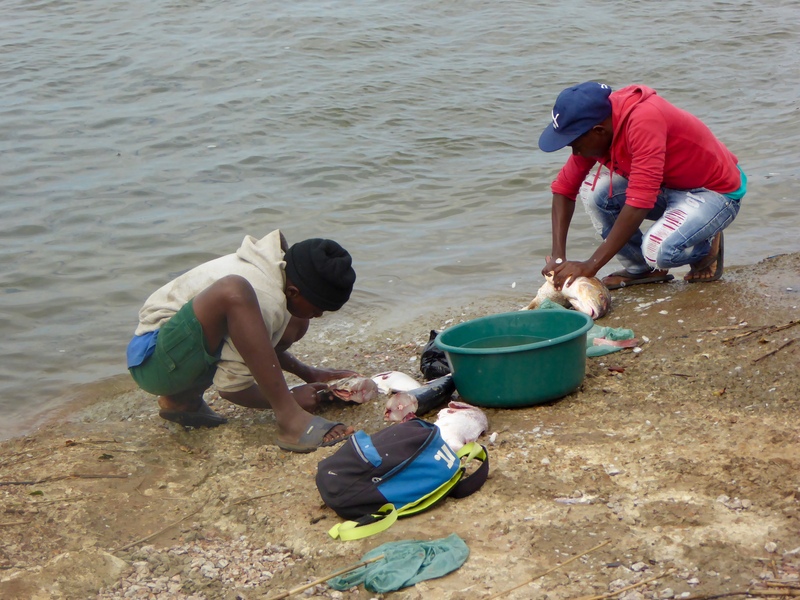 We watch these people cleaning and cutting fish by the Nikomati River. We stood on the ferry with many other people and watched the town of Marracuene fading away. The cars in line are waiting for their turn to cross the river. On the other side, we are met by a truck from the resort. Driving on these roads is exciting. Everything is so sandy here. 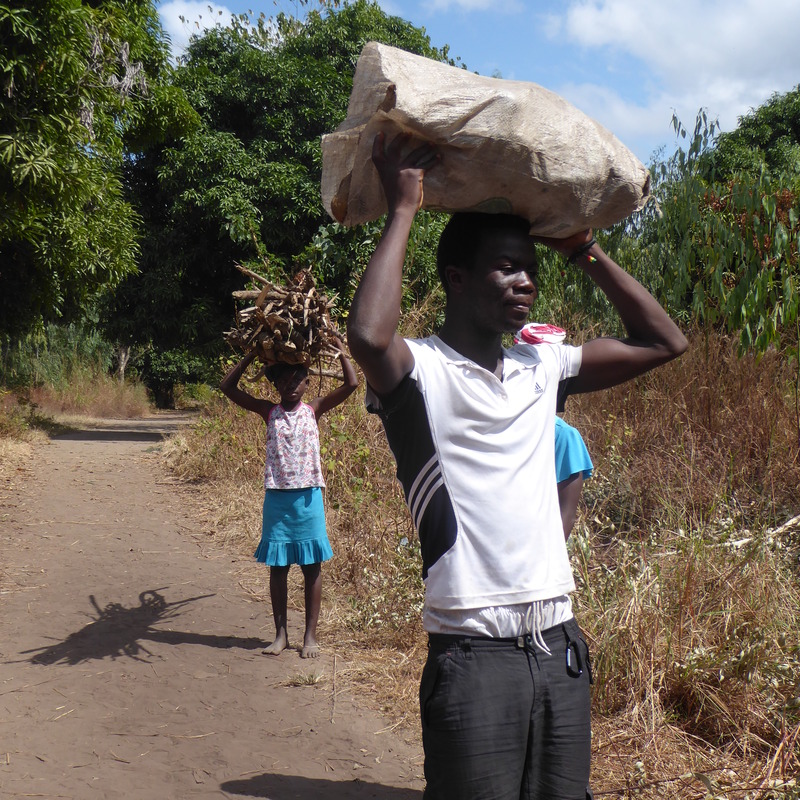 Afonso said many years ago crops were grown in this area, but the ocean gets too high in the rainy season and the ground has too much salt to produce crops now. Perhaps this is our welcoming committee? Or is this immigration,checking our passports? But I like cows, so I, Zeb the Duck, am happy to see them. Here we are. 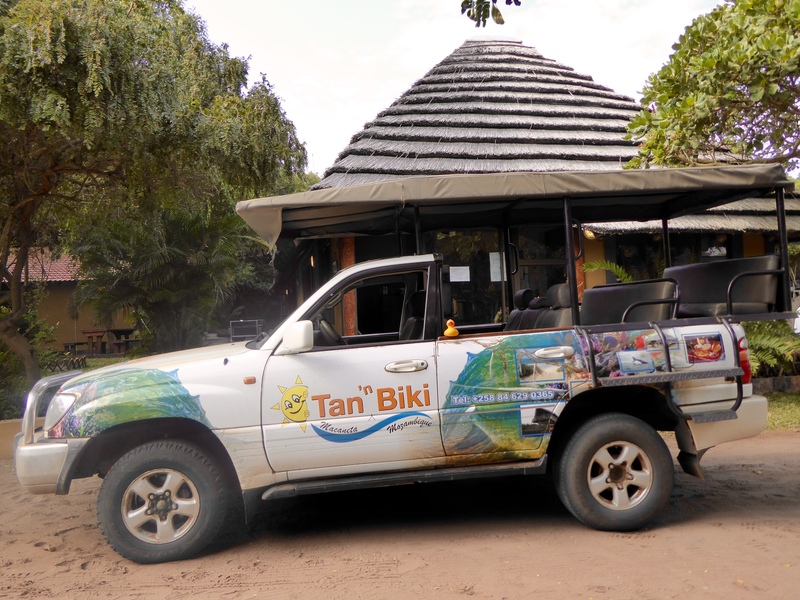 This was our transport and we have arrived at Tan ‘n Biki Resort. We will have lunch here today. This pool certainly looks inviting. But mom says no swimming today. After ordering our lunch, we returned to our transport vehicle. Our transportation. Can I drive? Now we are visiting another resort. Mom, why does this resort say horses? We are riding horses today? 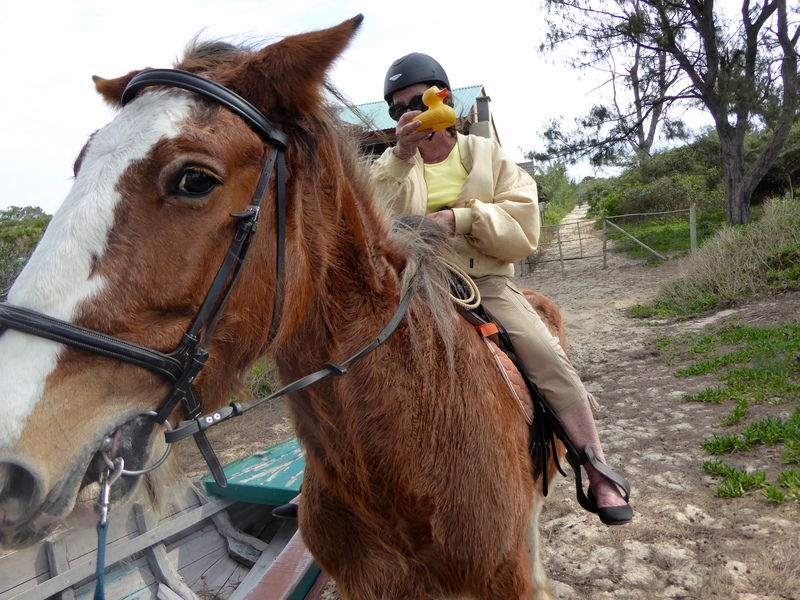 Here I am, Zeb the Duck, in the saddle of a very big horse. You will notice the top of the ladder. The ladder is for mom and the other humans to mount their horses. OK, mom’s on the horse, too. We are ready to head to the beach to ride along the Indian Ocean. This is so exciting. This photo was taken from the back of Bonnie, our horse. The beach and the Indian Ocean are beautiful. I love this. 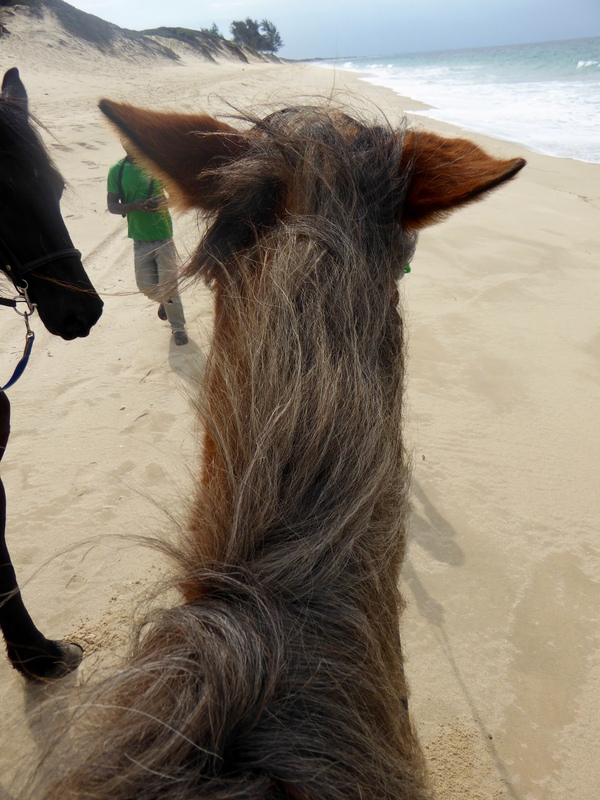 We rode our horse on the beach for more than one hour. 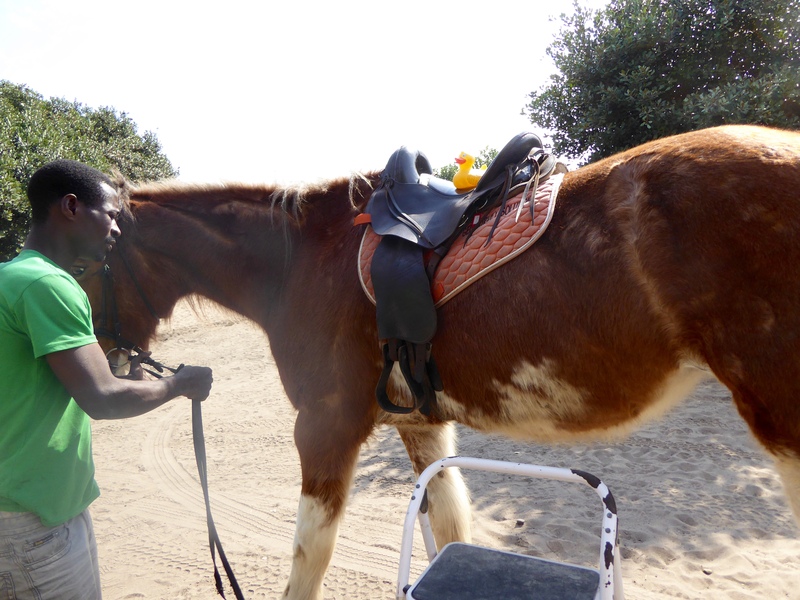 I, Zeb the Duck, did not want to get off this horse. Her name is Bonnie. But we did get off Bonnie. 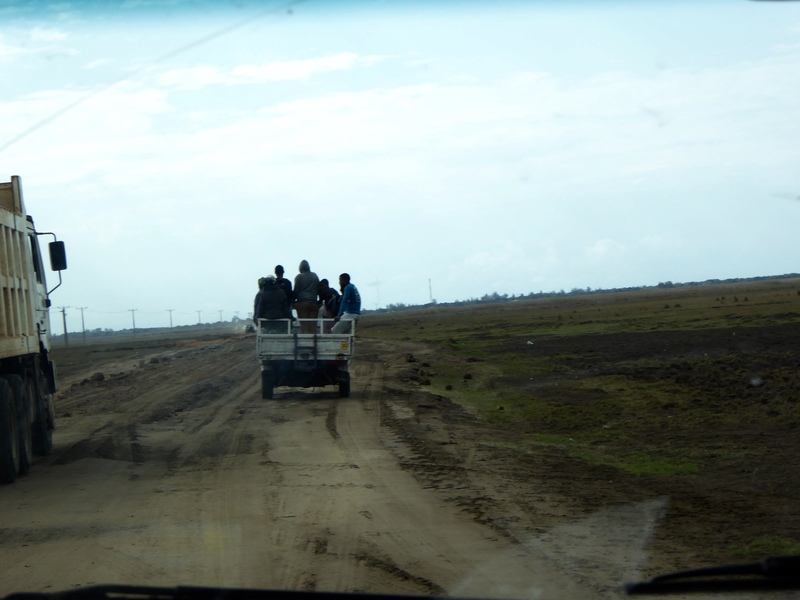 Our driver took us back to Tan ‘n Biki Resort where our lunch was ready. Because we are eating by the Indian Ocean, mom ordered line fish. That is whatever fish they catch on the fishing lines today. That is really fresh and tasty. Our fish was so good. Of course, we did get the whole fish again. I am getting used to fish with heads on our plate. 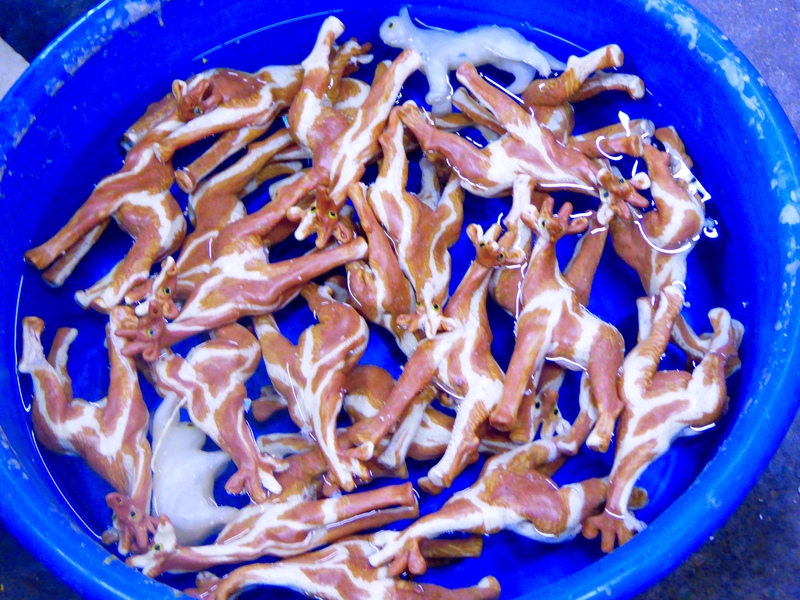 We don’t eat the heads, but many people do. 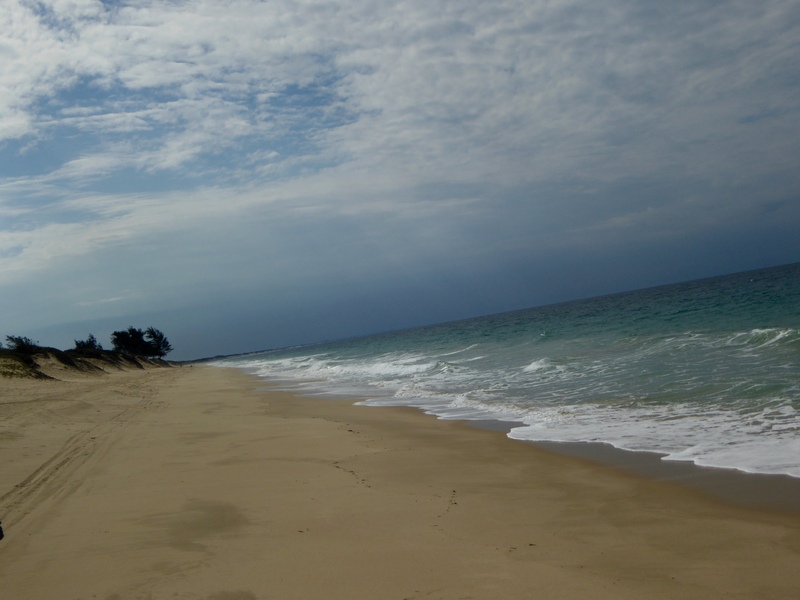 After our delicious lunch, we wanted to walk on the beach. Each of the resorts we visited were beautiful. 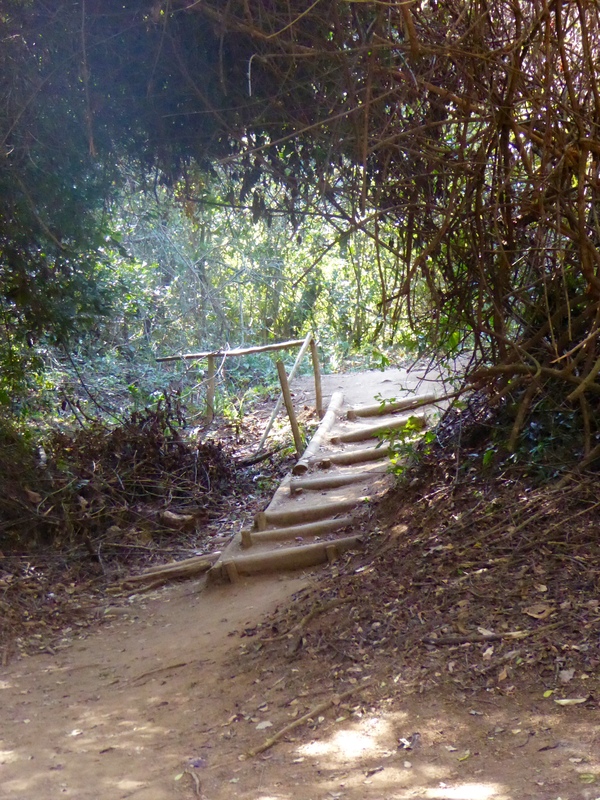 These are steps going over the sand dunes and on to the the beach. Let’s go mom. I am sitting on the beach and the waves from the Indian Ocean did reach me and I got wet. But the water did not pull me out to the ocean. And mom’s right there to protect me. Here I am sitting on the boat. 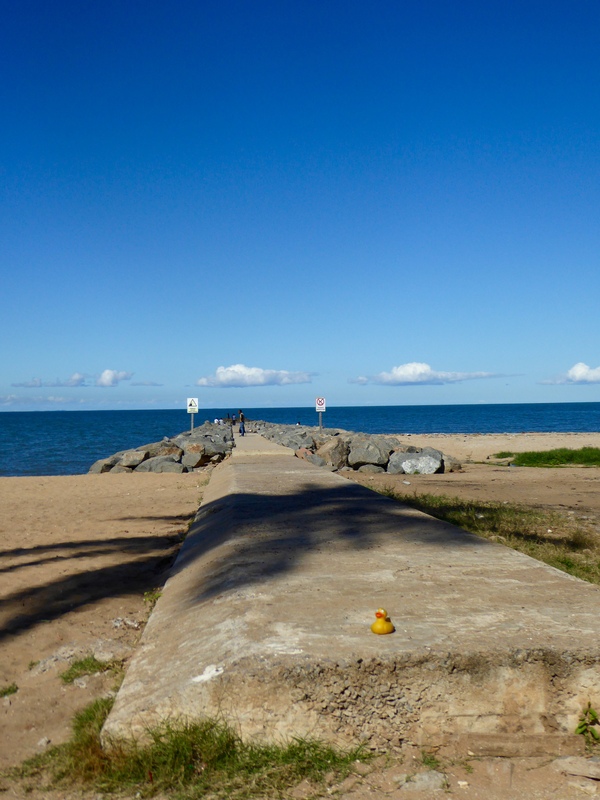 These picnic shelters on the beach protect humans, and small ducks, from the intense tropical sun of the summer. Even now, during winter in the Southern Hemisphere, the sun is intense. Too soon it is time for us to get in the resort truck, drive down the sandy roads and get on the ferry. 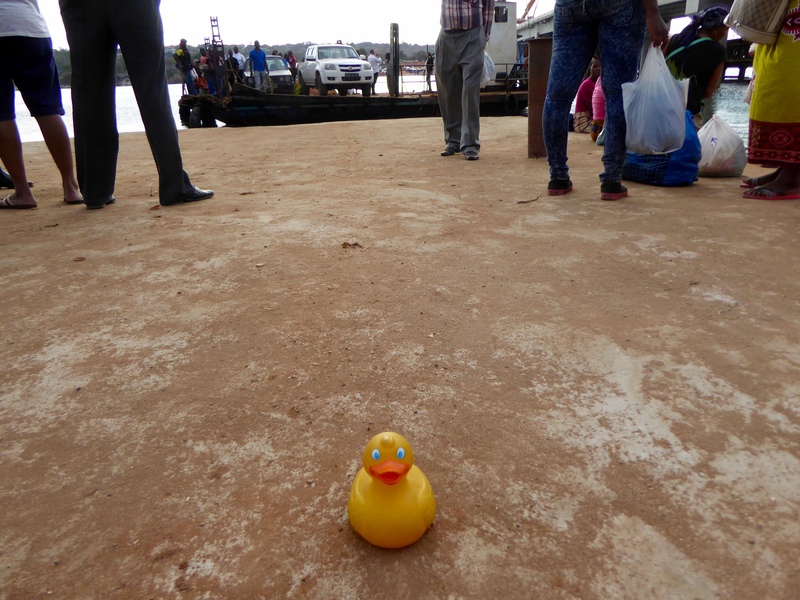 After the Nikomati River Ferry, we took the same route, through the country side, along the Bay of Maputo and into the city of Maputo to our hotel. 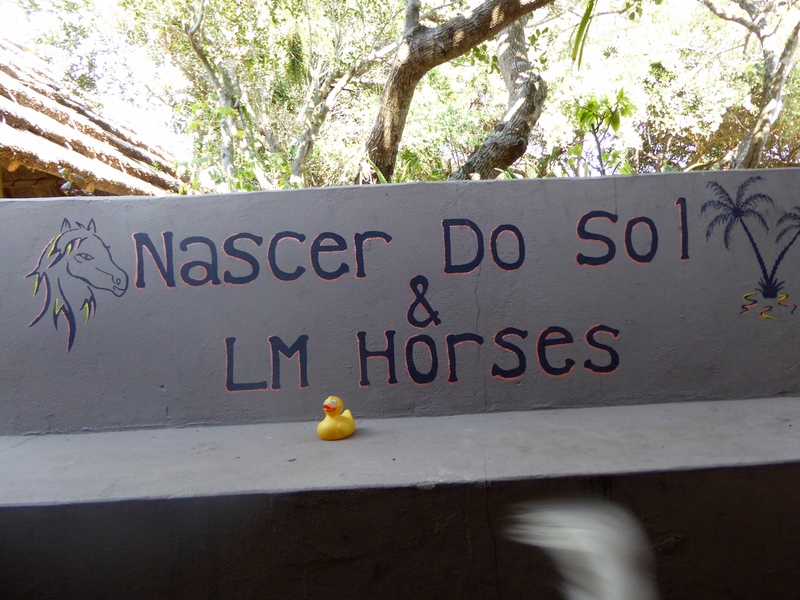 This was a wonderful day and a great end to our time in Mozambique. 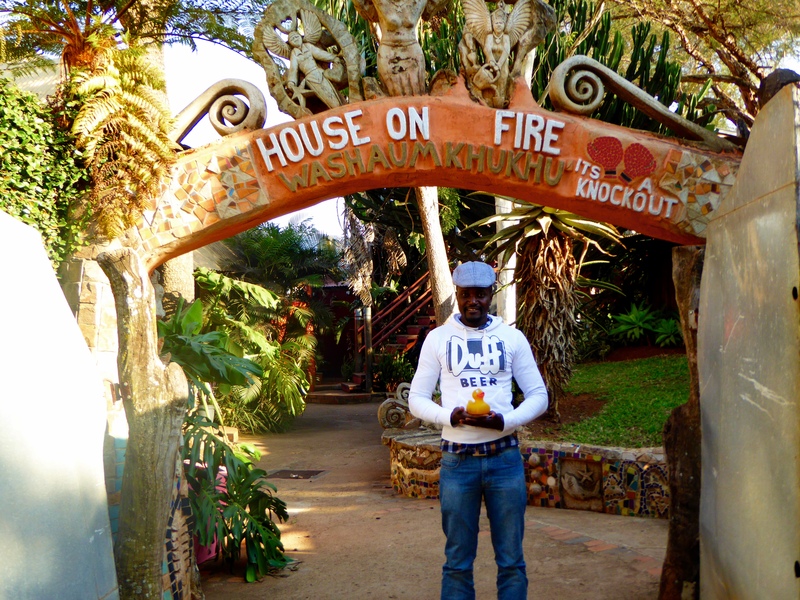 If you go to Maputo, Mozambique, call Afonso to go to Macaneta Island. Go for the day, or stay longer at either of these resorts. You will love it. We are enjoying our time in the Kingdom of Swaziland. Now it is time for lunch. This is the place. While eating we can gaze over a pretty lawn, into a valley with pretty mountains behind. Lunch was delicious. But, now there are shops to visit. But mom! First let’s go to the House on Fire. What?? Go into a house on fire? This means that it is a hot place, or a very popular area. 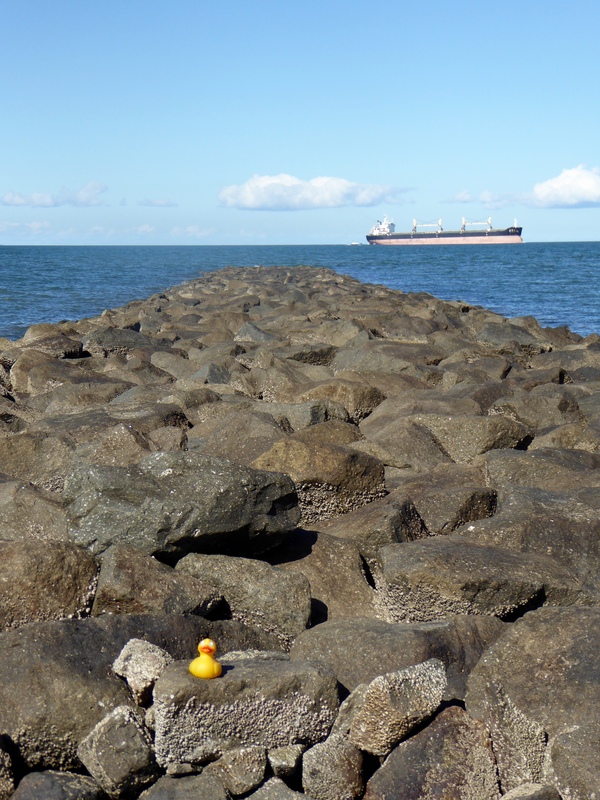 I, Zeb the Duck, was getting worried. 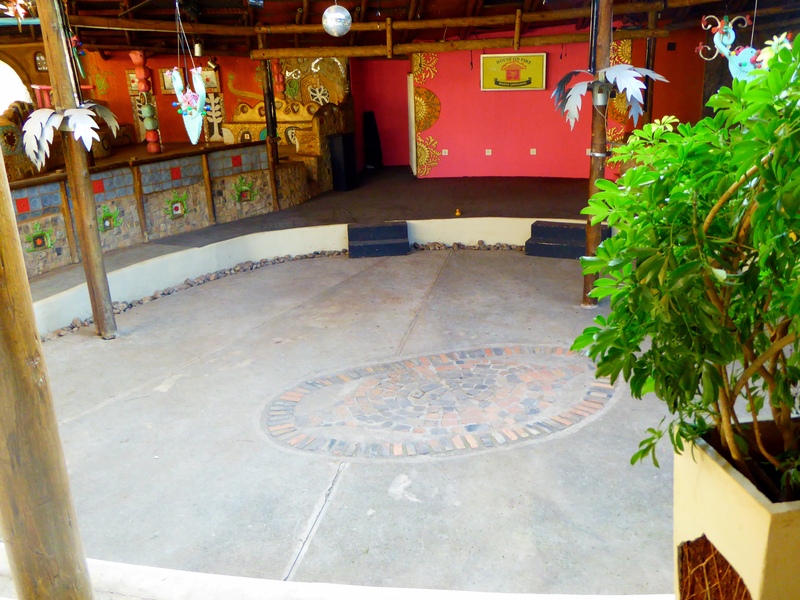 Inside the complex is a stage. Perhaps I, Zeb the Duck, should perform on this stage? Maybe not. This is where future performances are announced. I did not see a sign for me, so I will not perform here. Soon we went into a nice store that specialized in basketry and woven things. Yes, she did. Baskets? Suitcase packing tomorrow night will not be good. I really like these trees, and look at the unusual plants. They are bent like candy canes. I, Zeb the Duck, am in the leaves of the plant on the left. Very nice in here. Another store? Let’s enter Swazi Candles. Oh, I like this place. This man is making a candle. He stopped to tell us how they are made and show us how the wax is kept warm to shape it. 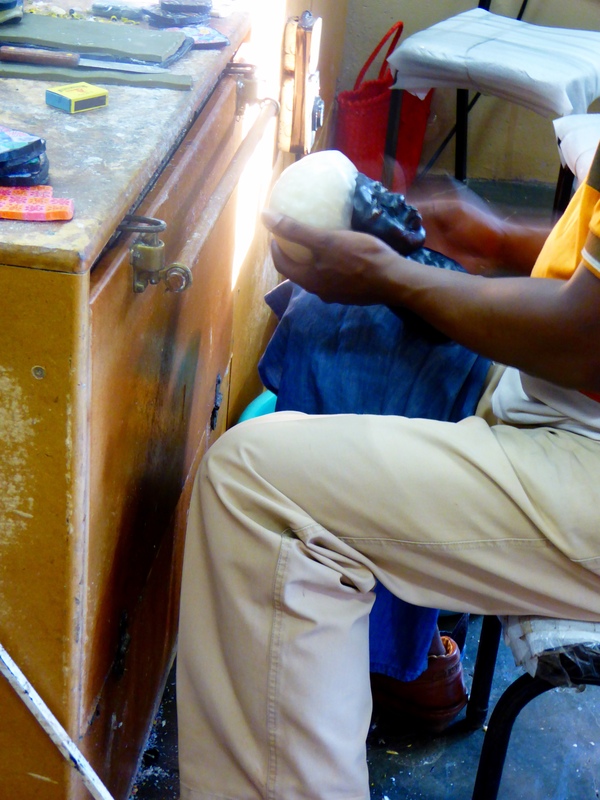 This man is adding more wax to a head to make big hair. 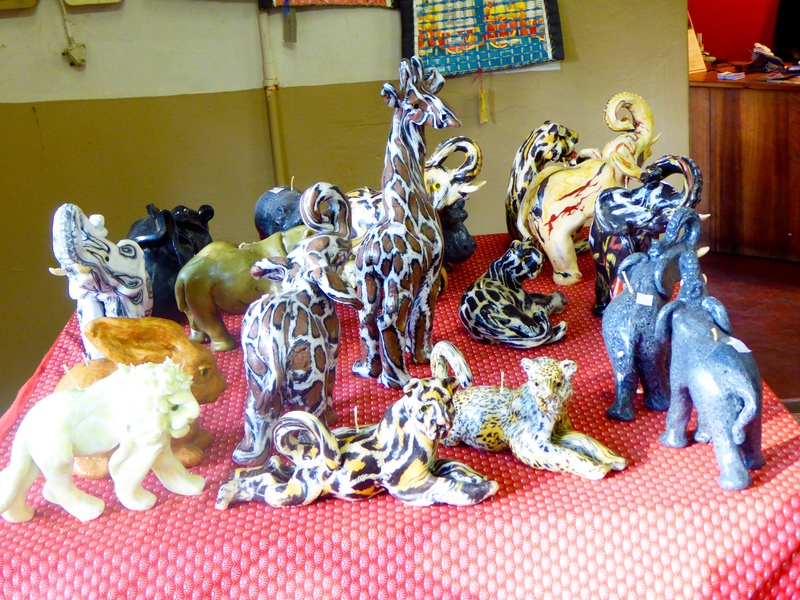 We love the safari animal candles. After working on candles with warm wax, the finished candles must be cooled in cold water. These giraffes are cooling now. Our friendly candle maker has just finished this elephant. 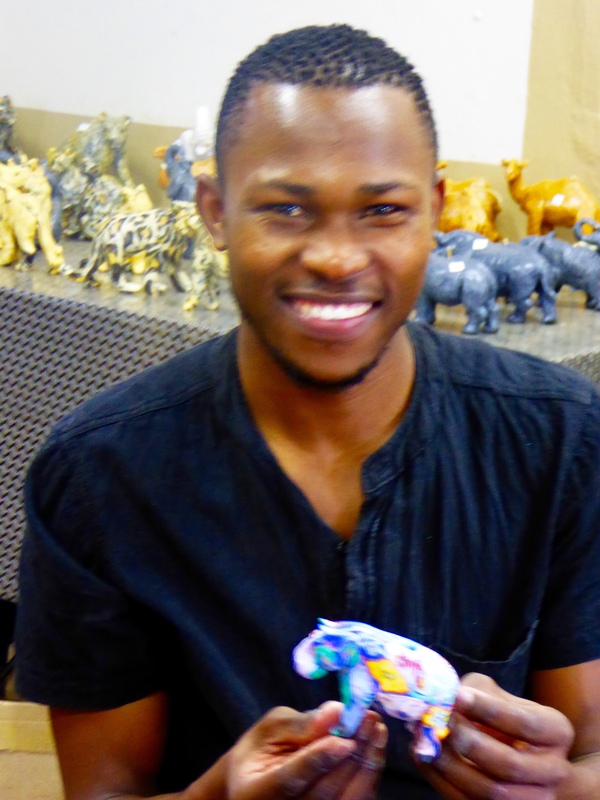 He just finished this elephant candle. We bought it. Wow! I love these candles. Of course we purchased some. They will be so much fun to have at home. I will be reminded of Swaziland every time I see them. 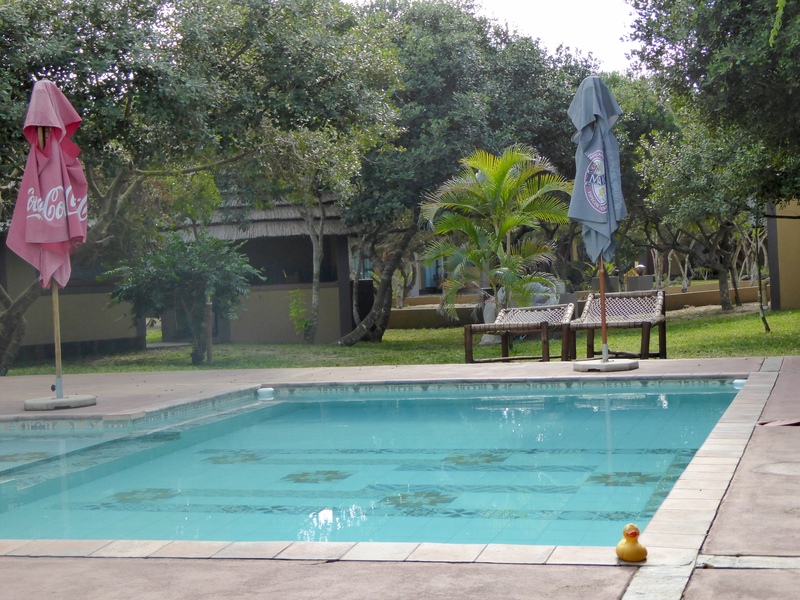 It is now time to return to Mozambique for the night. 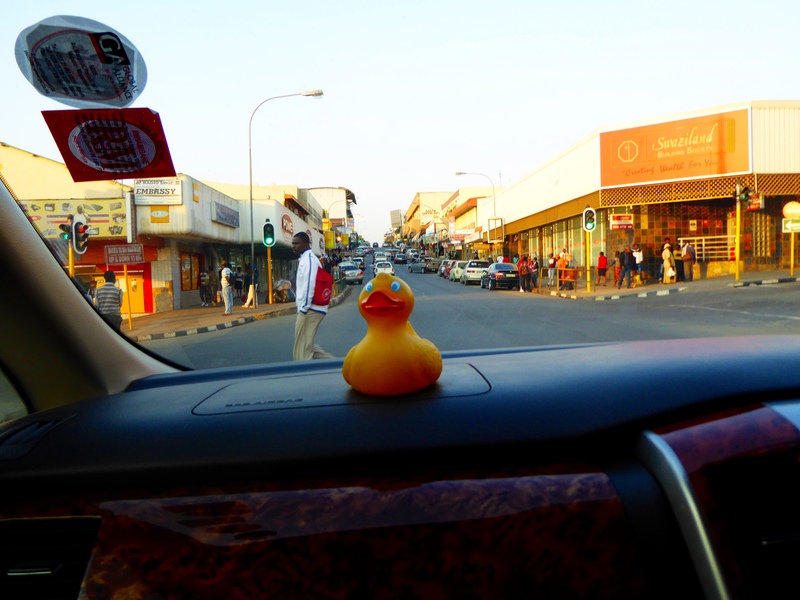 Samson takes us through the city of Manzini. We really like Swaziland. Everything is so clean. The people we met were all so nice. We even met Samson’s sister today. Almost everybody we talked to spoke English very well, so our trip to the Kingdom of Swaziland was easy and very enjoyable. If you ever want to go to the Kingdom of Swaziland, call Samson at Dug**** travel. 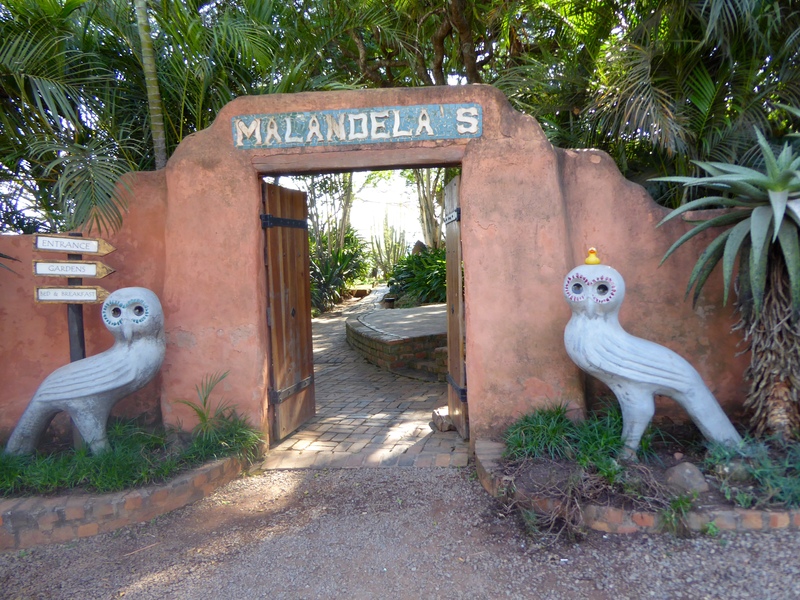 We think you will love your visit. We did. 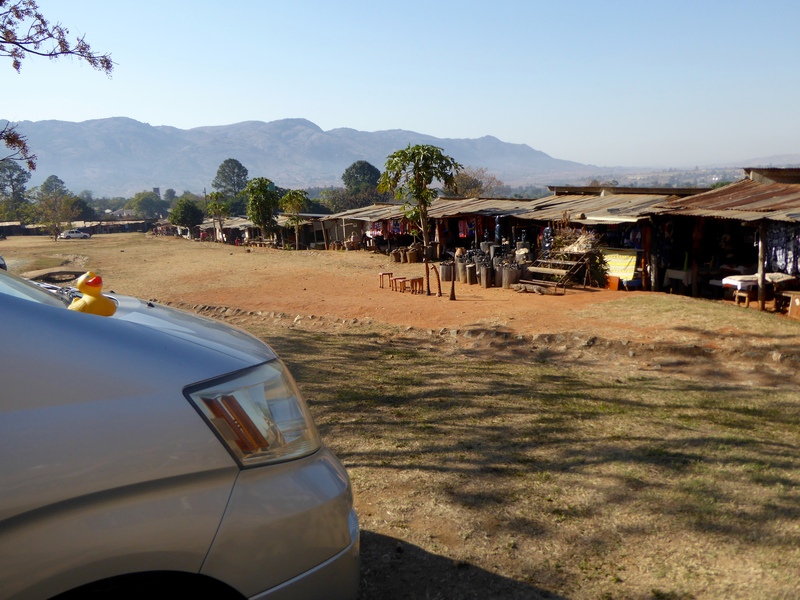 Mom and I got up early again this morning Samson picked us up and we are going to visit the Kingdom of Swaziland. A Kingdom? The King has absolute power here. 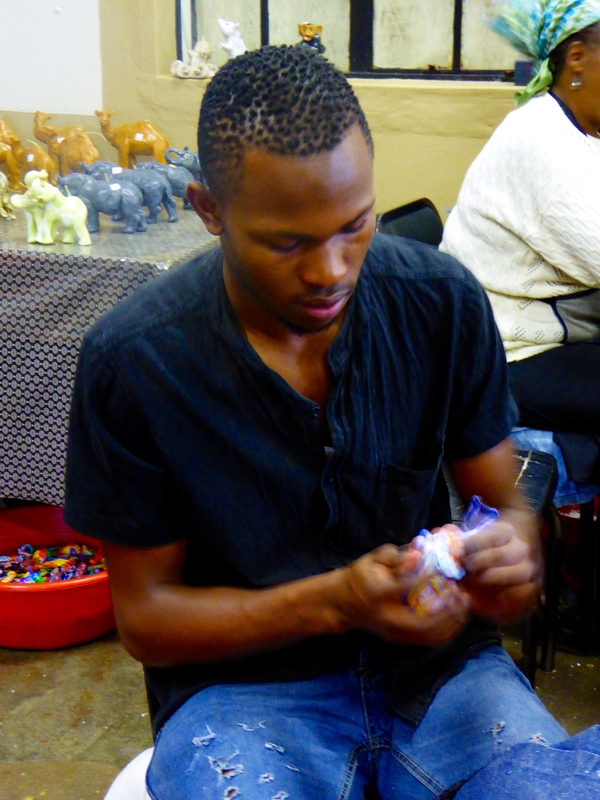 Samson used to live in the Kingdom of Swaziland, so he is our perfect guide. I am riding through the Kingdom of Swaziland. The country is pretty and everything is very clean. The roads are good, also. Our first stop is the craft center. Oh no! Mom, the suitcase is already full. There is no room for more. But it is OK. She did not buy anything big. She hardly bought anything at all. We had to leave to see the cultural village. Here we are. 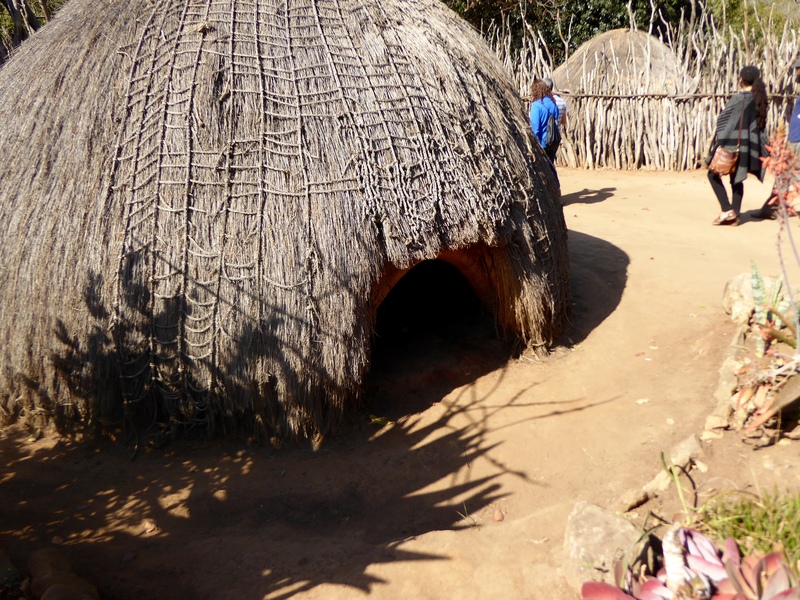 This is the Mantenga Nature Reserve and Swazi Cultural Village. 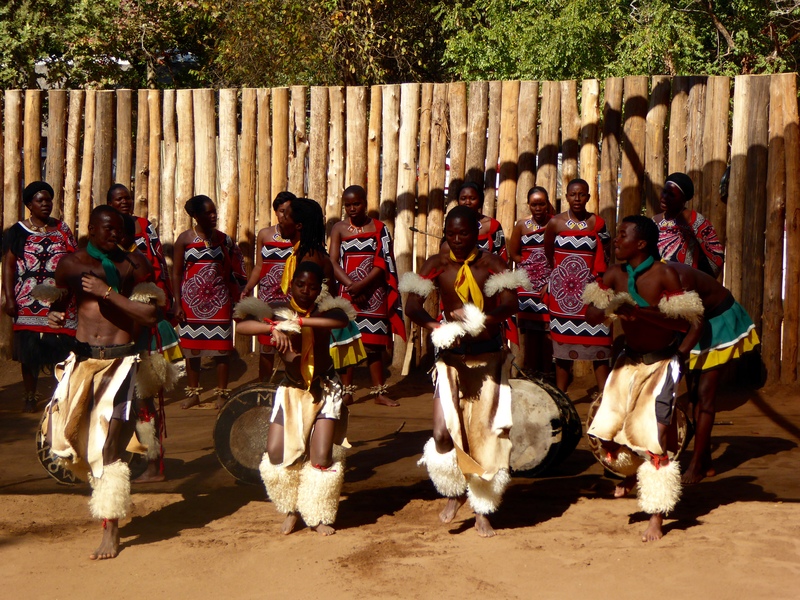 First we are entertained by dancers performing traditional Swazi dances. Toward the end of the performance they sing. We really like these dancers and singers. The performance has ended, so we visit the cultural village. This is the home of the medical healer. 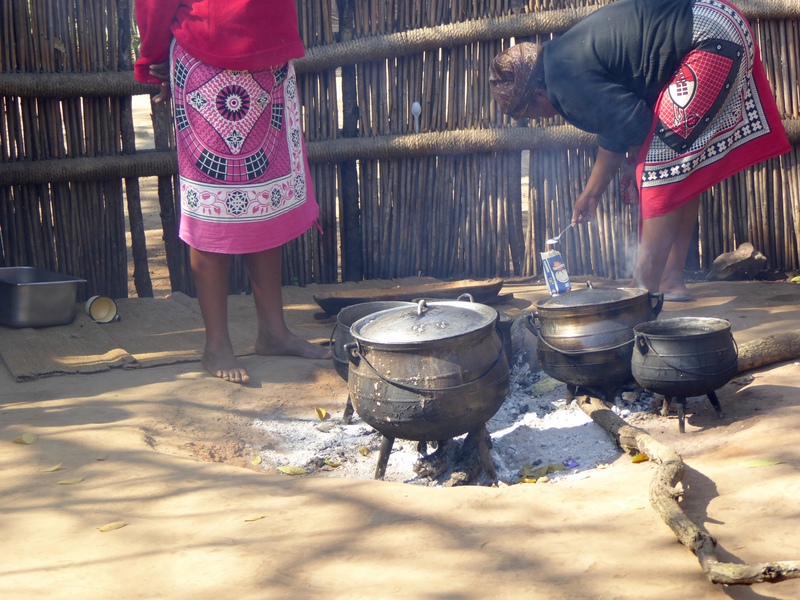 Traditional medicine and herbs were used to heal most illnesses. Here is the fire area. This is not the kitchen. The fire area is for men. The kitchen is for women. Mom reacted to that, of course. So did all the other female tourists. But she liked this one. This is a house of a grandmother. 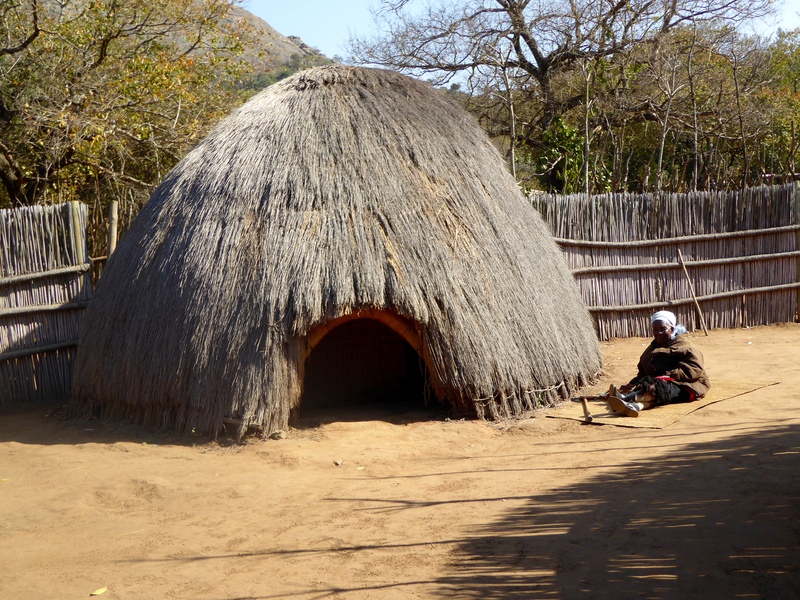 Grandma’s house is probably the most important house in the village. Women marry when they are about 18 and men marry when they are about 35. 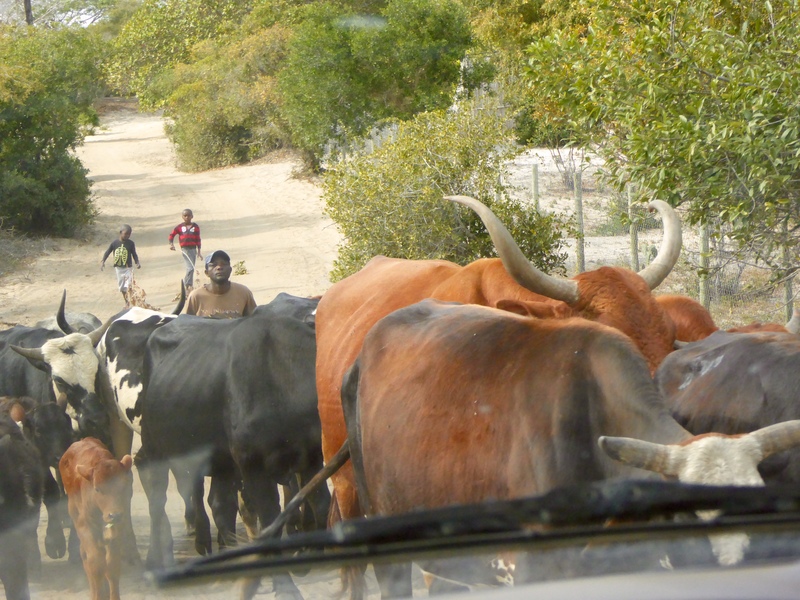 The men need to work to have enough money to buy cows for the dowry of the bride. So, husbands die first and the widow is considered the wisest now. When there is an important function in the family, the grandmother even cooks and supervises the special food preparation. This is another grandmother’s house and we went inside. After entering, men stand on the right and women on the left. The door is low for safety. If an enemy tries to enter, he must bend low and his head enters first. The men will simply club him on the head and the problem is usually solved. In our society, when leaving a building, it is ladies first. Here it is men first. The same reason. When leaving, you bend low and your head leaves the house first. The men go out first to be sure that it is safe for the women. 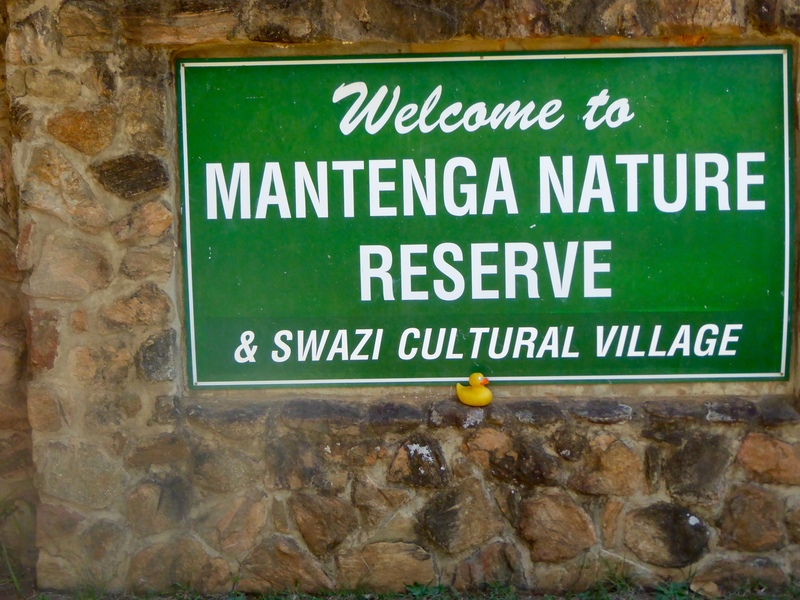 After the cultural village, we went to Mantenga Falls and Picnic Site. We love these waterfalls. 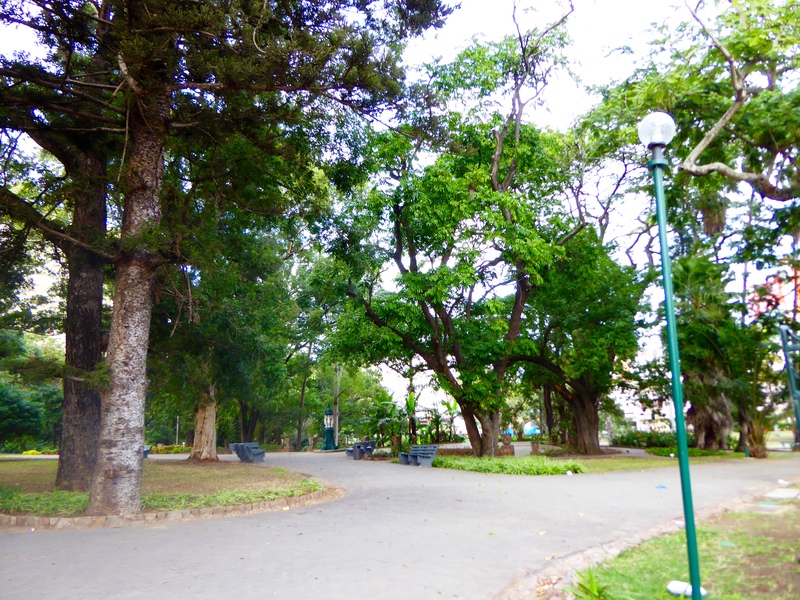 It would be so nice to have a picnic here. 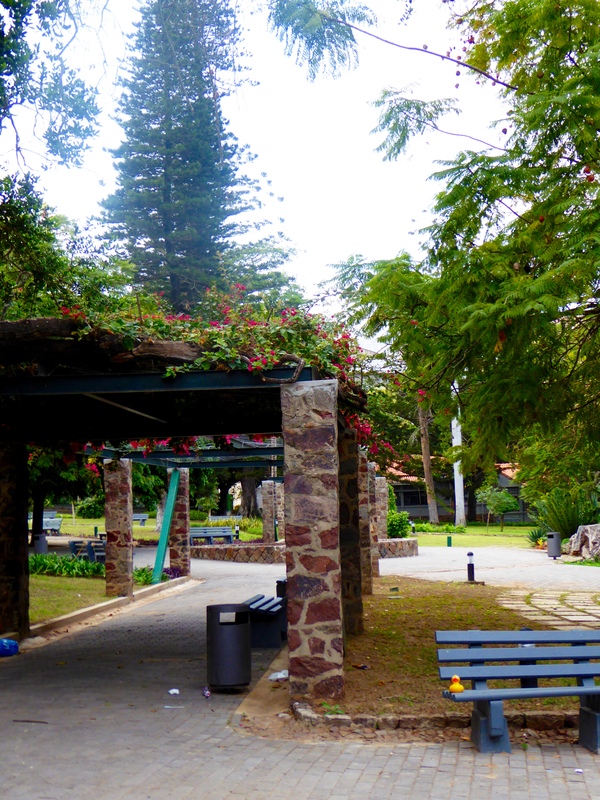 Many people enjoy the falls and picnic site. There is a stove and wood for your fire. The picnic tables are big and in great locations. Aren’t these stairs great? They just look like waterfalls and beautiful scenery should be near. 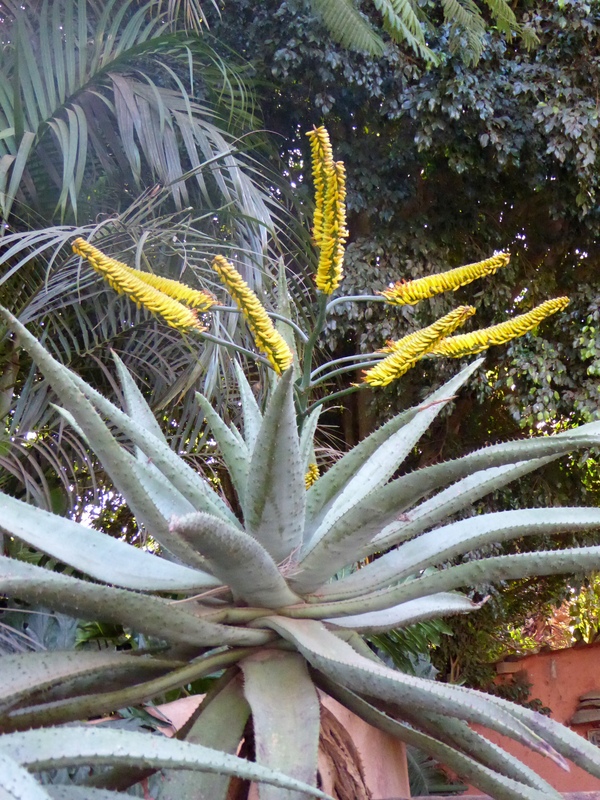 Leaving the nature reserve and cultural village, we saw this aloe plant with pretty yellow flowers. At home, in Colorado, we have aloe plants in the house, but we never have flowers. The yellow is very cheerful. 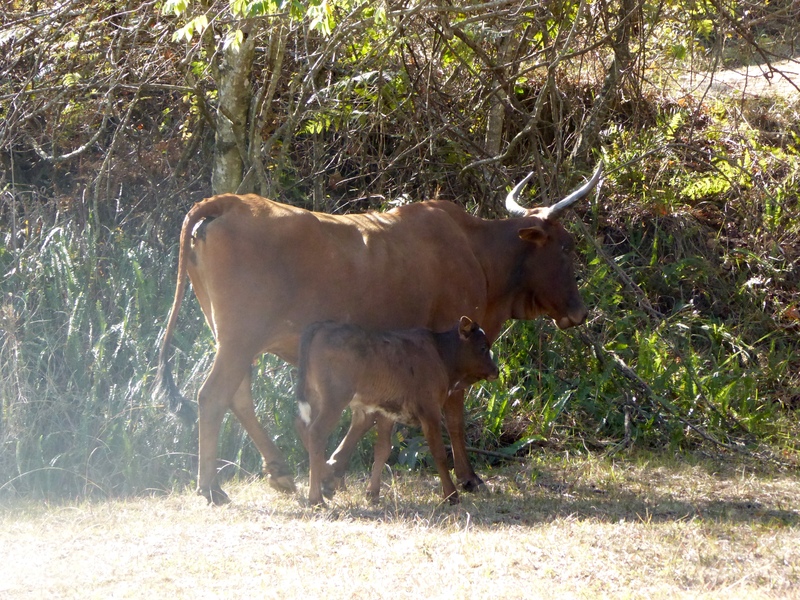 Continuing on the road, we passed the mother cow with a calf. I love cows. They seem to make everything peaceful. Next time I will show you how we spent the afternoon in the Kingdom of Swaziland. 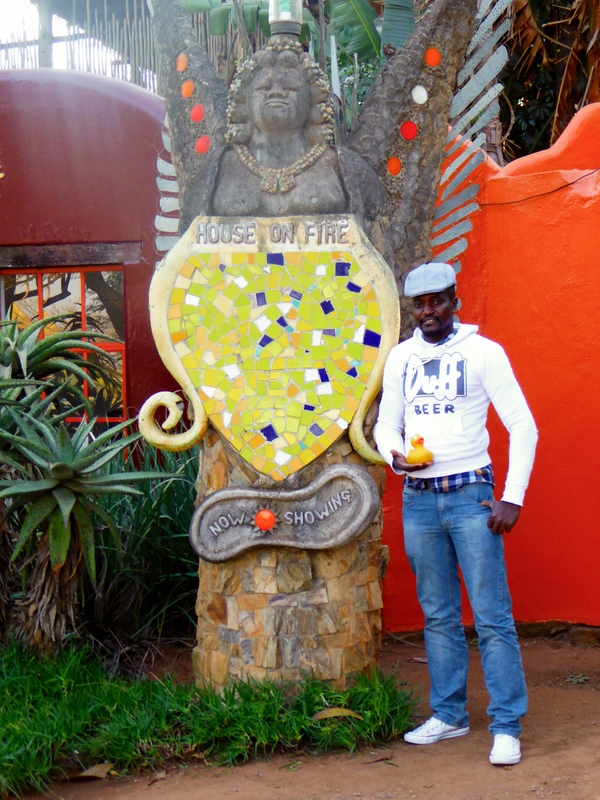 We like the Kingdom of Swaziland, and Samson is telling us so much about the country. This is a great day. 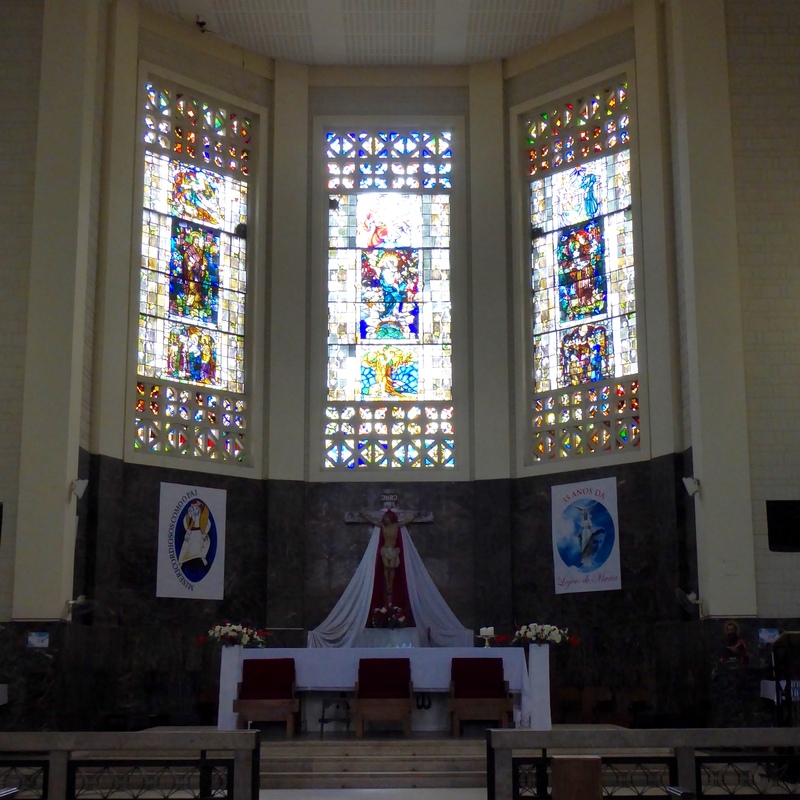 Today we will see if Mom can lead us through Maputo. Isaac is no longer with us. 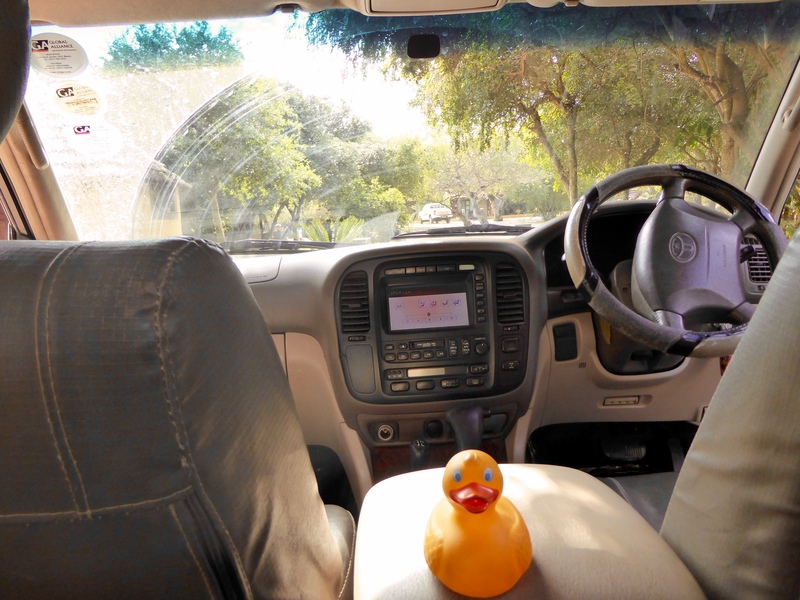 First, a taxi to Hotel Terminus to sign up for a tour to Swaziland. 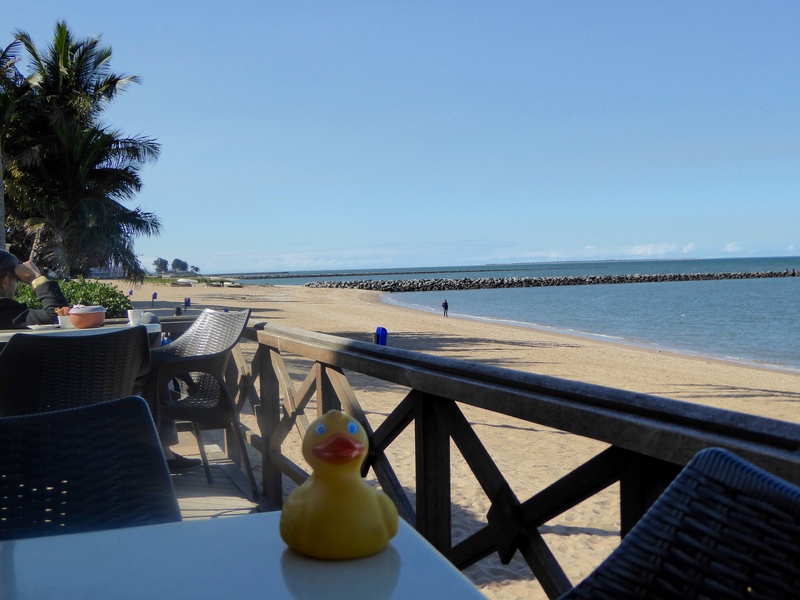 Now Mom thinks we can walk along the coast of Maputo Bay and find someplace, with a water view, for lunch. 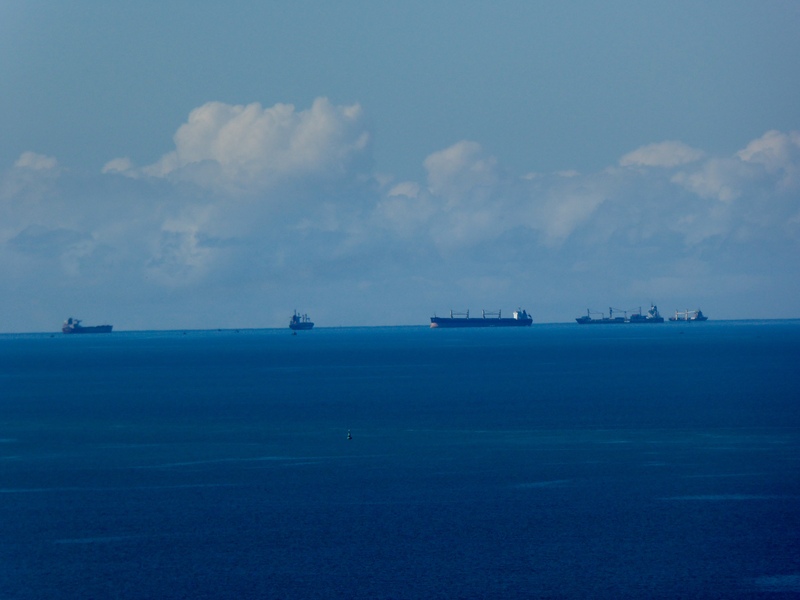 We love seeing these ships on Maputo Bay. 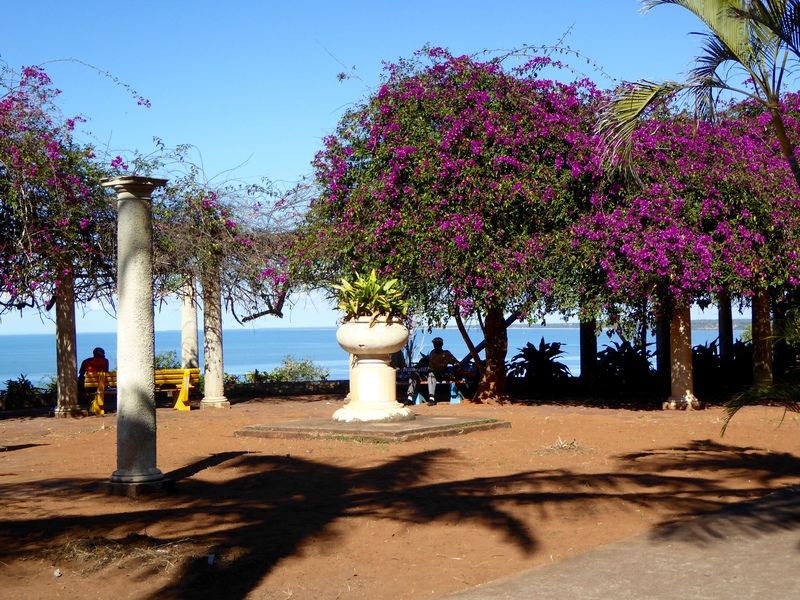 We stop here and admire the view above Maputo Bay. Beautiful spot to look out to sea. Isn’t this beautiful. We love to just sit and watch the water. 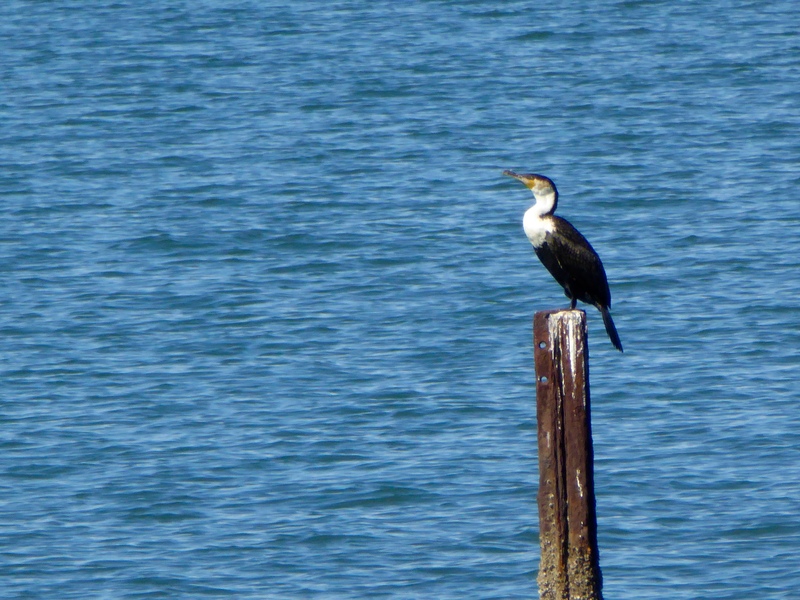 This bird seems to also enjoy watching the water. I believe he has the best seat on the coastline. 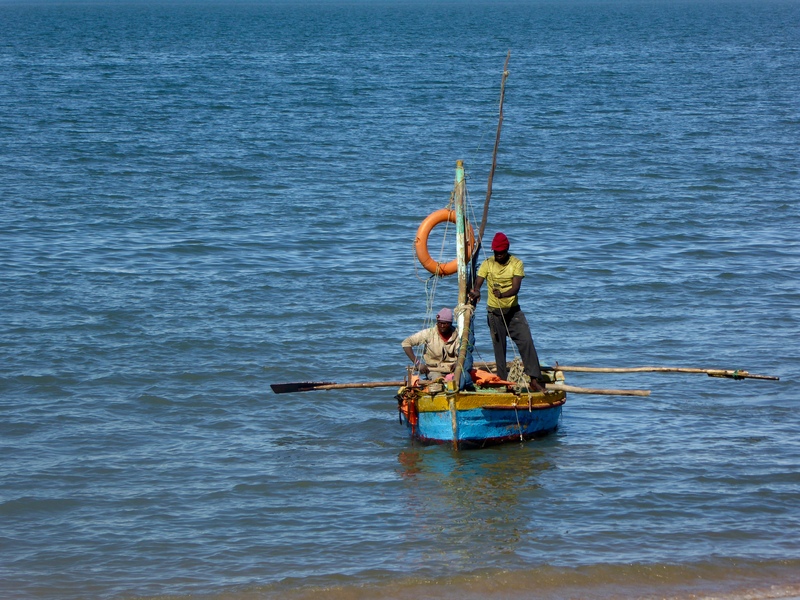 Small boats are used by fisherman. Being in a small boat is my idea of a perfect day. 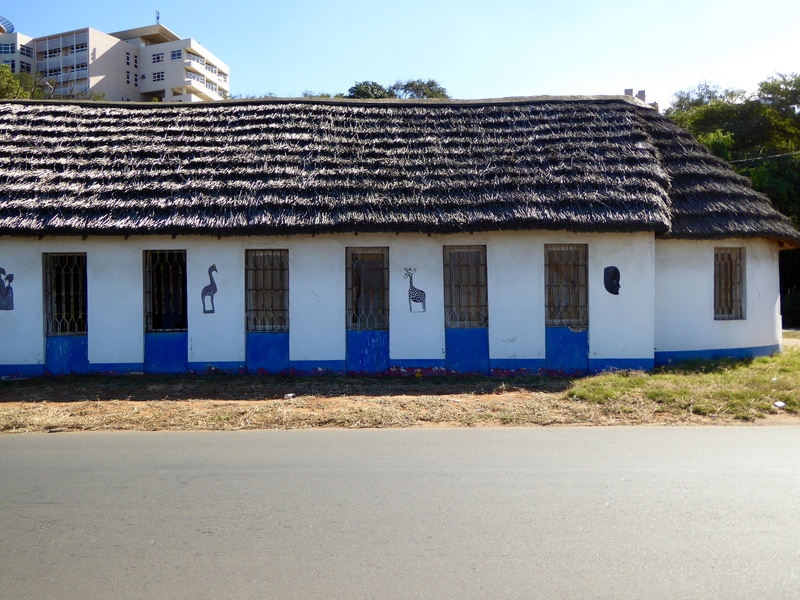 This is a really old, original waterfront building in Maputo. 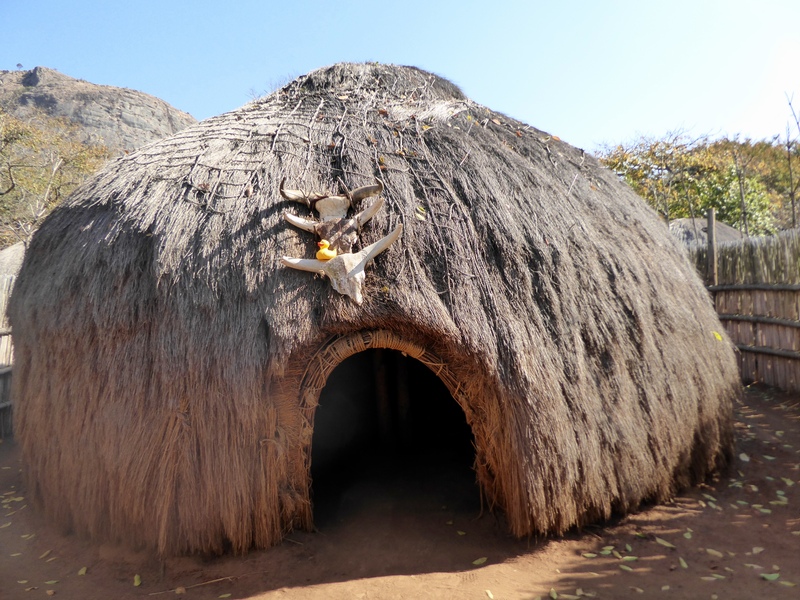 A great thatched roof. 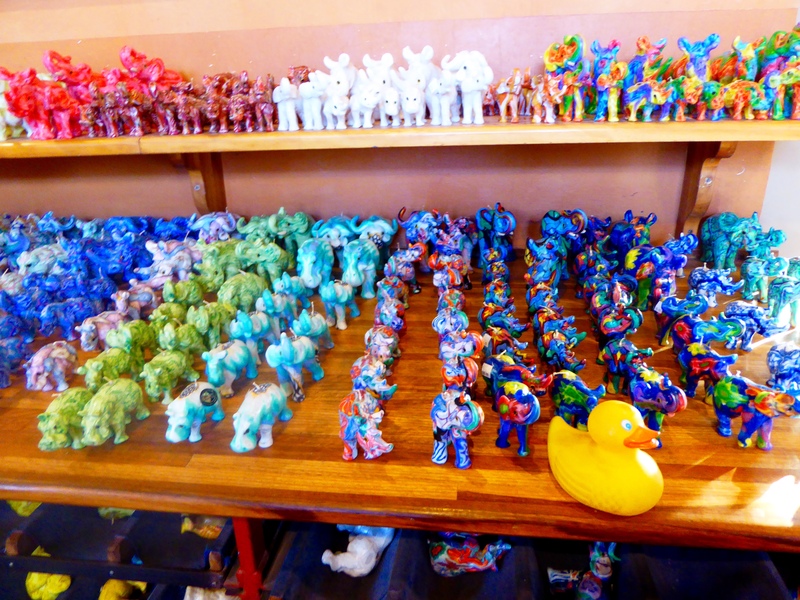 I, Zeb the Duck, am sitting on the ground by the giraffe. Continuing along the coastline, this pier calls us. Let’s go, Mom. 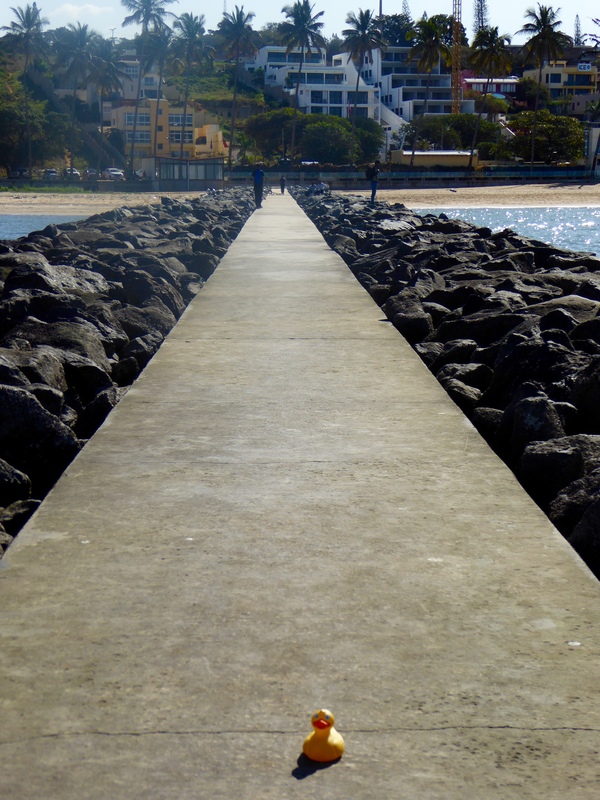 The end of the pier consists of rocks. Very interesting to this duck. Looking back, we gaze at the waterfront hotels. 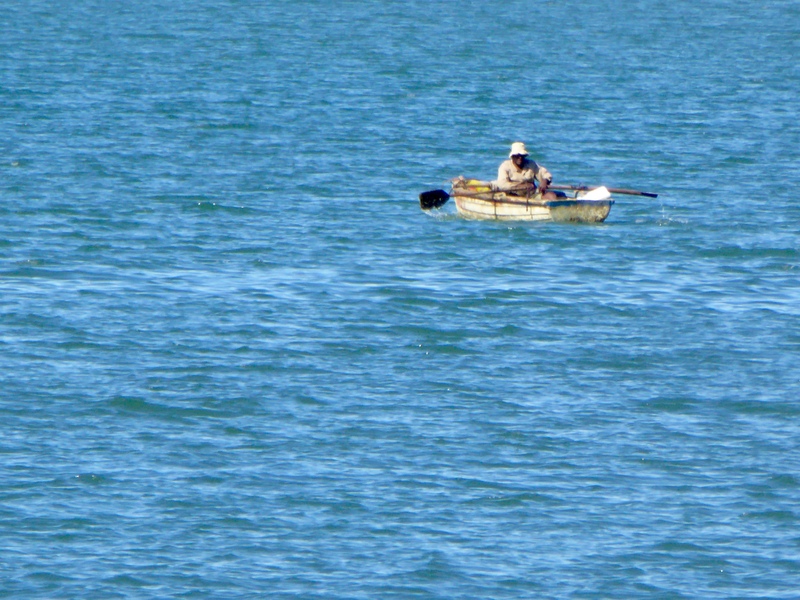 Now I see another boat with more fishermen. This is a little different from what we usually see here. 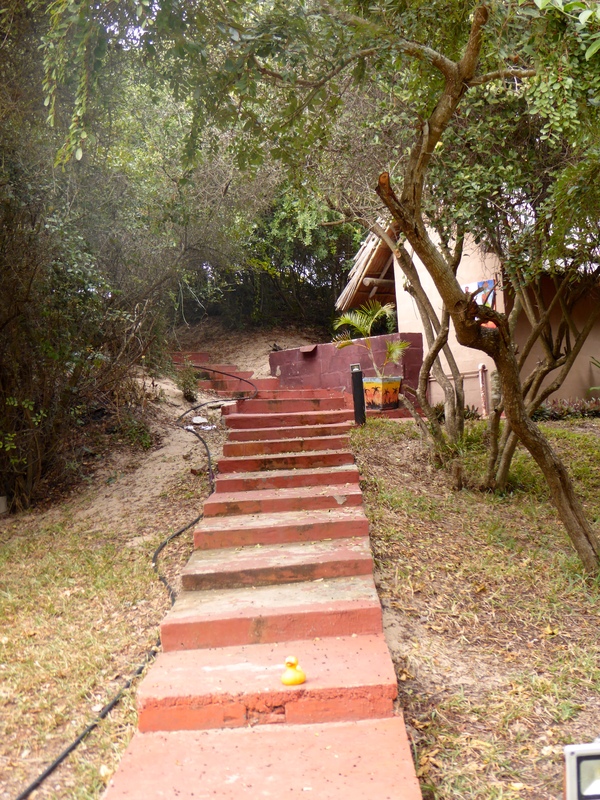 We walk to the Southern Sun Resort. Looks like a good place for lunch, I think. 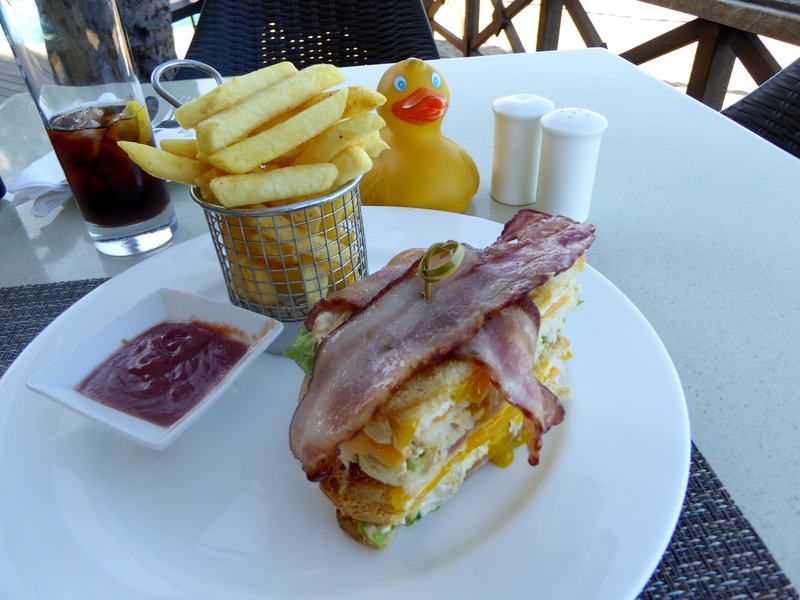 I, Zeb the Duck, have never seen a sandwich with so much inside and even bacon on top of the sandwich. 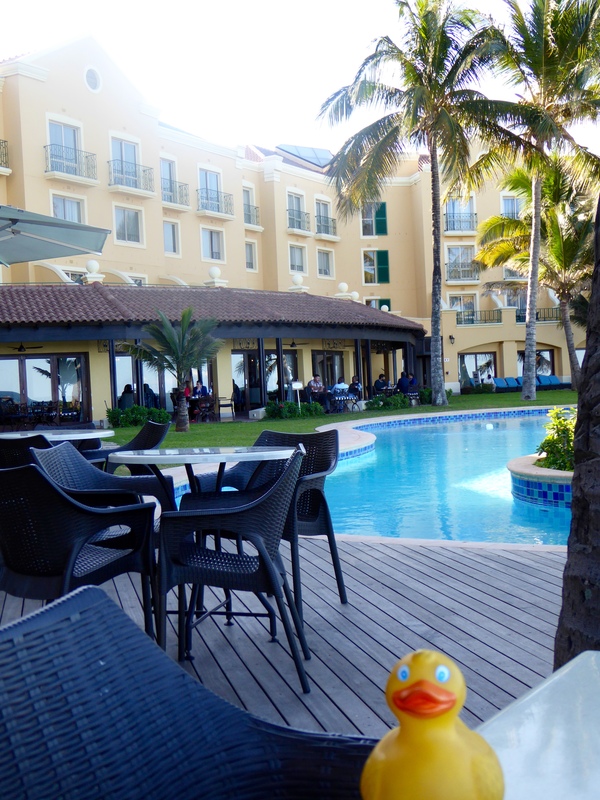 During lunch, I really enjoy the view of Maputo Bay. 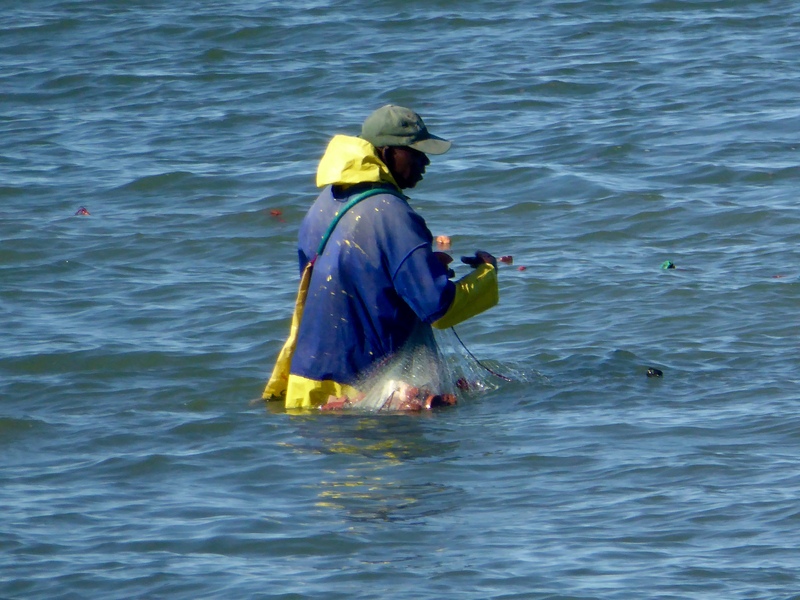 I have been watching this fisherman gathering and moving his nets. This is a very nice pool, but mom says we cannot swim in it because we are not staying here. That is fine with me. I want to watch the water. We stroll along the sand for awhile. Mom says it is time to go back to our hotel, but we don’t want to walk back. Our lunch and earlier walk seem to make us have less energy. This man drove us back to our hotel. He brought us back to our hotel. He was very nice. 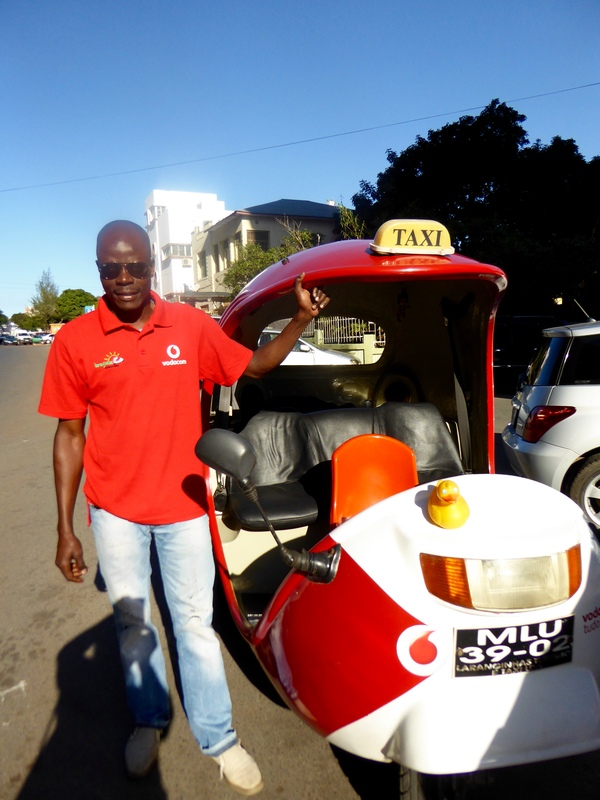 While in Maputo we have talked to so many very nice people. 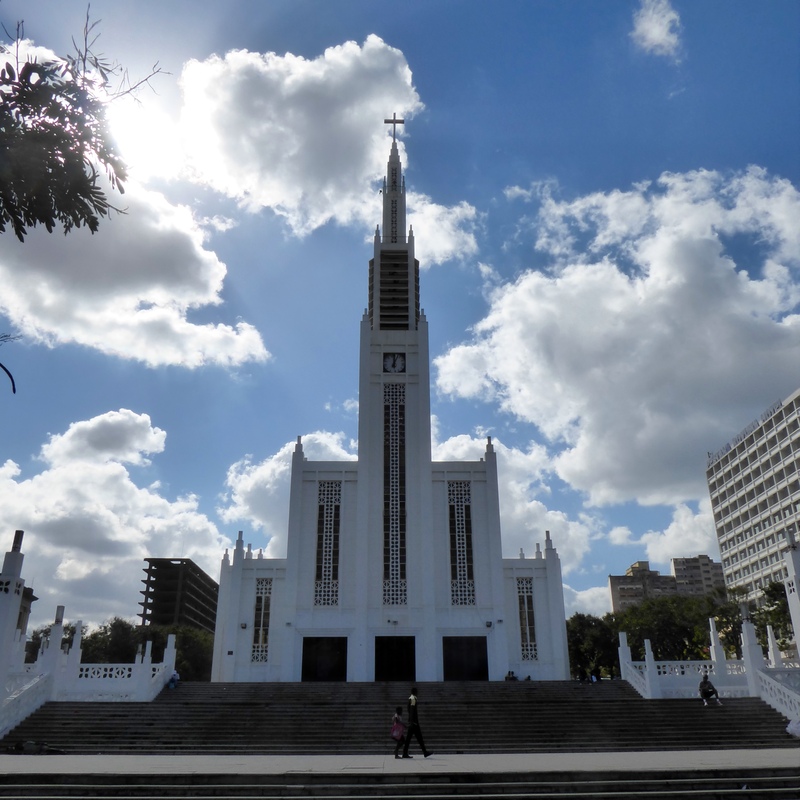 We are glad we decided to visit Maputo, Mozambique. 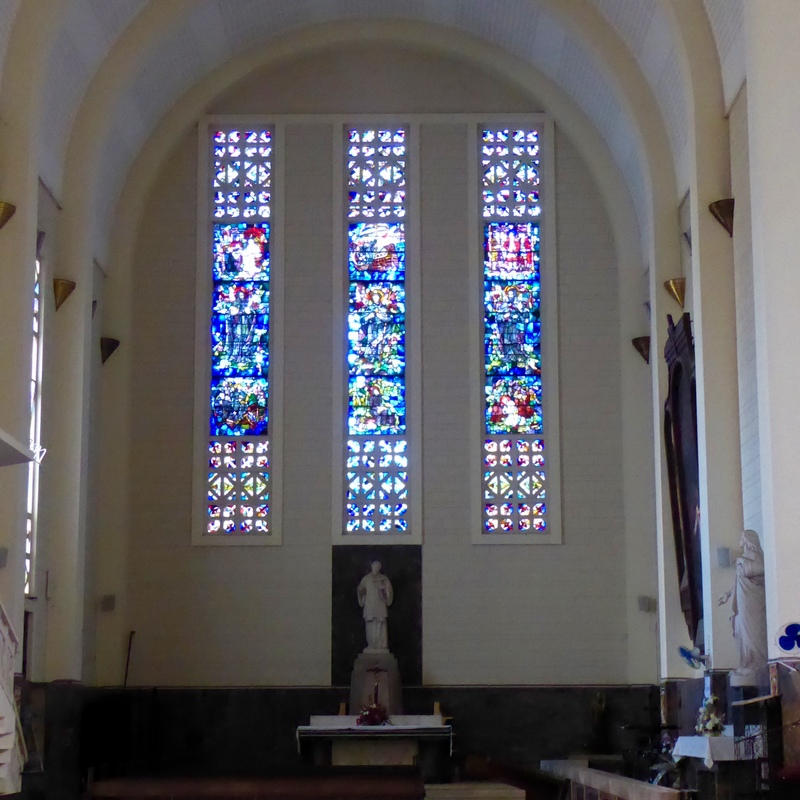 We enter the cathedral and I love the windows. 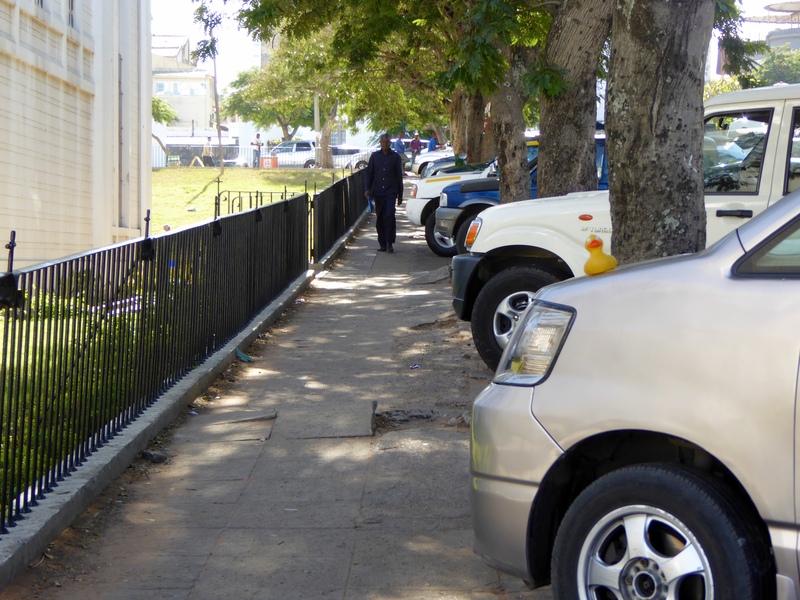 Leaving the cathedral, I, Zeb the Duck, am surprised to see cars parked on part of the sidewalk. 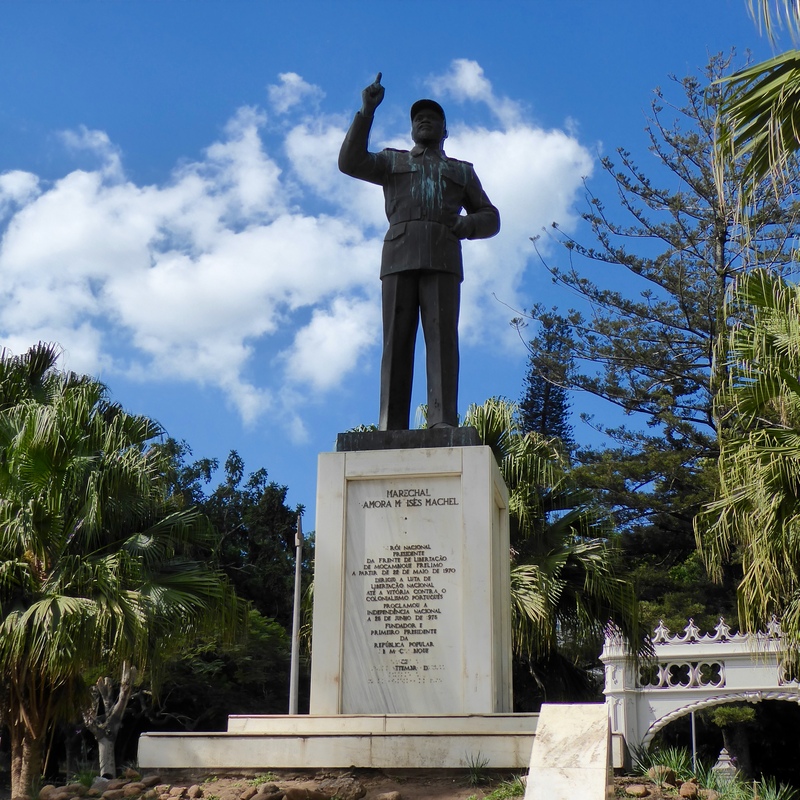 In front of City Hall we see this statue of Marechal Samora Moises Machel, the first president of the Republic of Mozambique. We like the City Hall building. 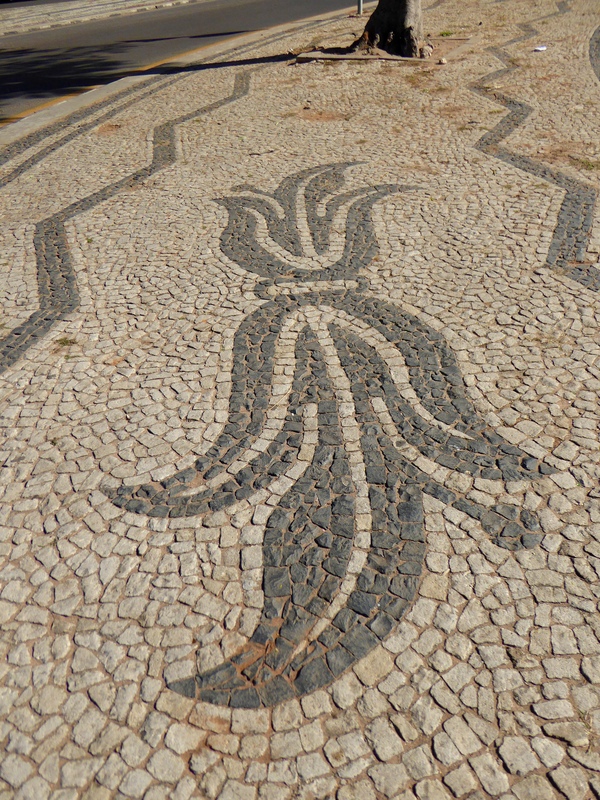 Isn’t this stone work nice on the sidewalk by City Hall? 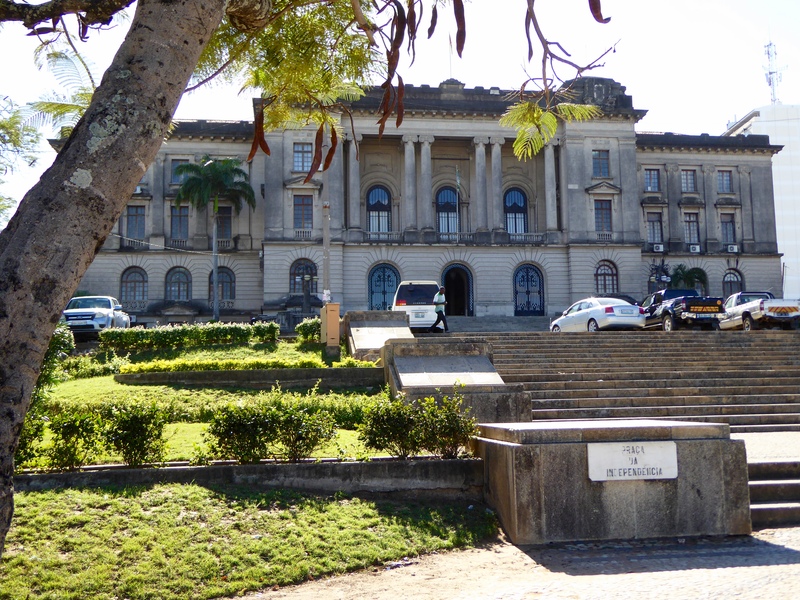 Maputo was a grand city when it was built by the Portuguese. 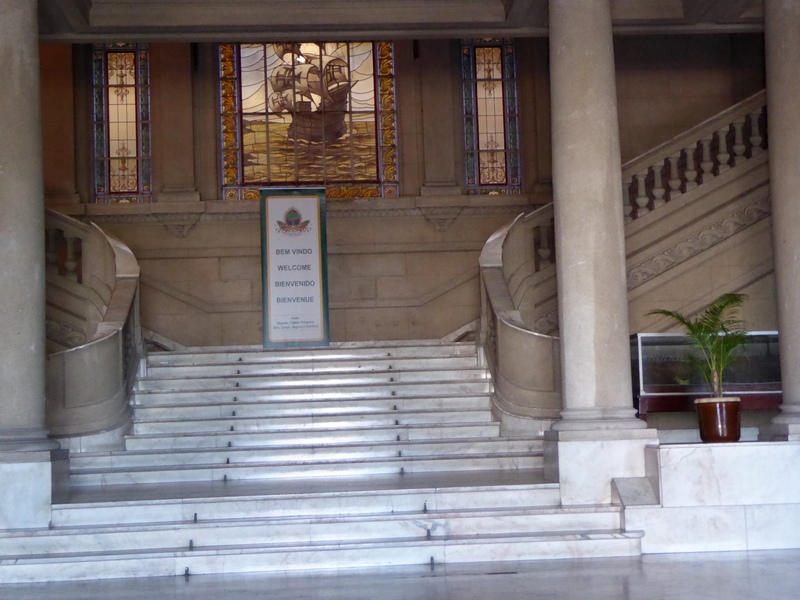 Inside City Hall, we admired the classic architecture. Love stairs going up each side. 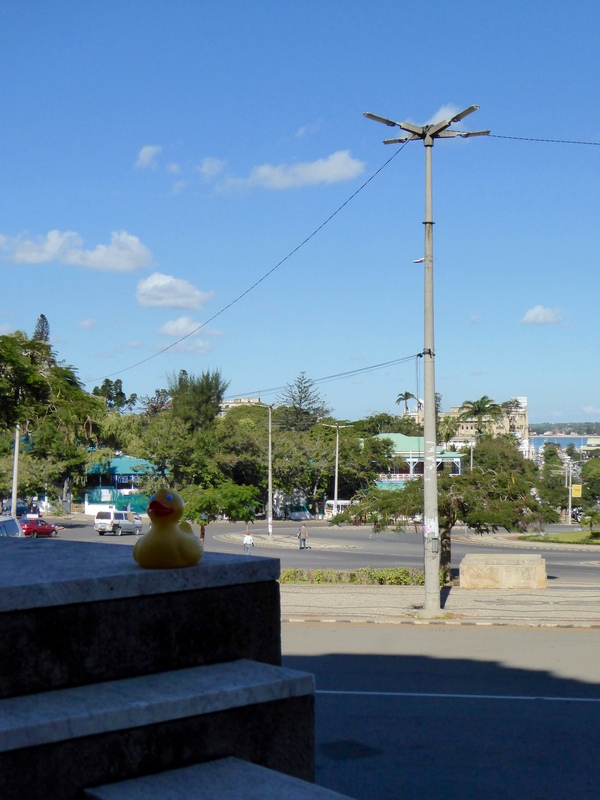 Outside we admire the view of Maputo Bay from City Hall. Near Independence Plaza we see the Iron House. 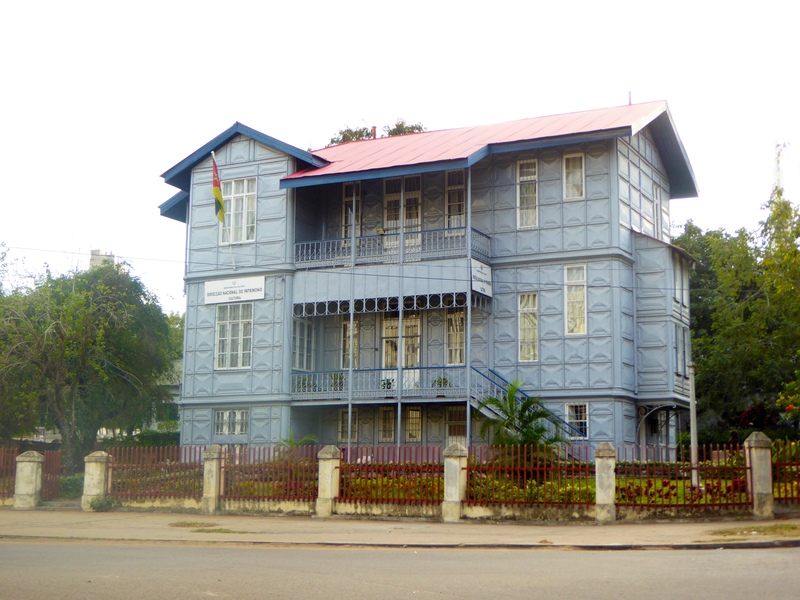 The Iron House was designed by Eiffel in the late 19th century as the governor’s residence. The house is made entirely from iron. 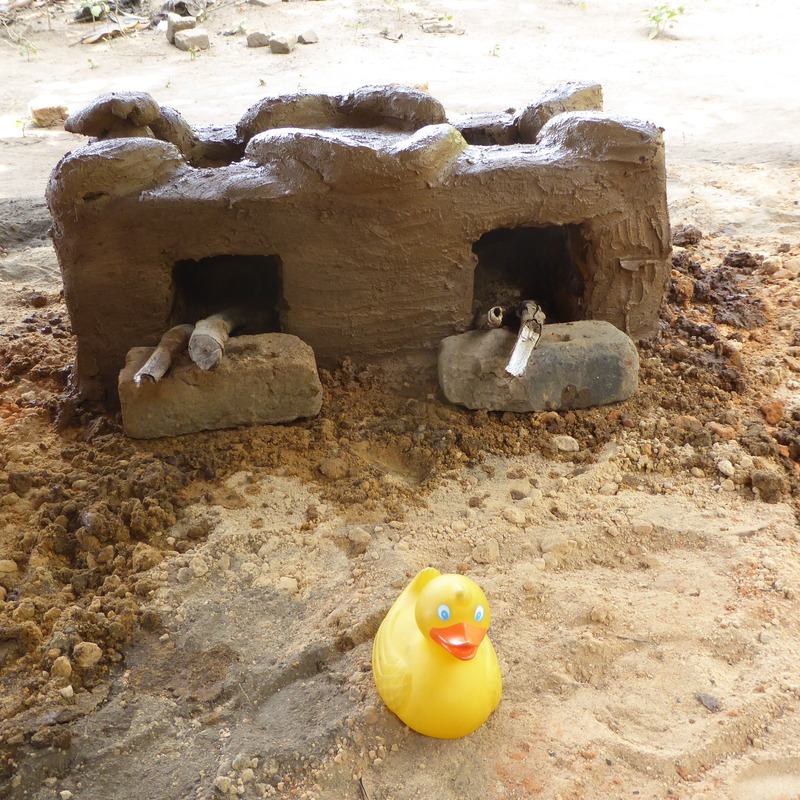 However the iron house was unsuitable for the tropical conditions. The hot building is now used by the Minister of Culture. Nearby we appreciated the Municipal Gardens. I, Zeb the Duck, am on this tree trunk, but it is so big you can hardly see me. The flowers are colorful and pretty here. 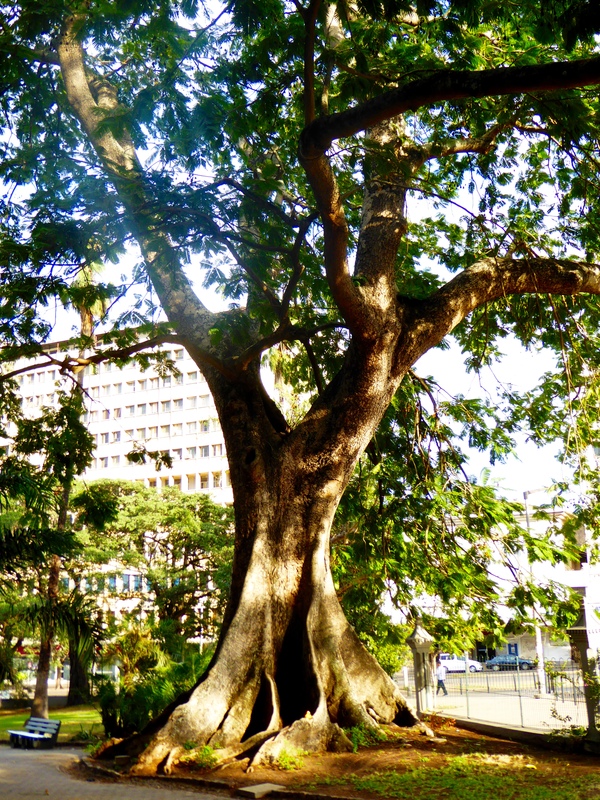 We liked just wandering around the streets of Maputo with Isaac. But I, Zeb the Duck, am worried now. I heard mom say that this was our last day with Isaac. We will walk around on our own for a day. Oh mom, I hope you know what you are doing.